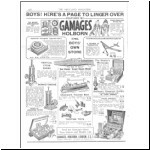 Part 4 - Patent applications, 1929-32 issues including the "Funnies"
This month we'll begin with a run-down on patents. 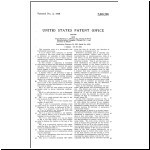 Curiously, no patents were obtained on the early methods or designs, perhaps because there was no apparent threat of competition. 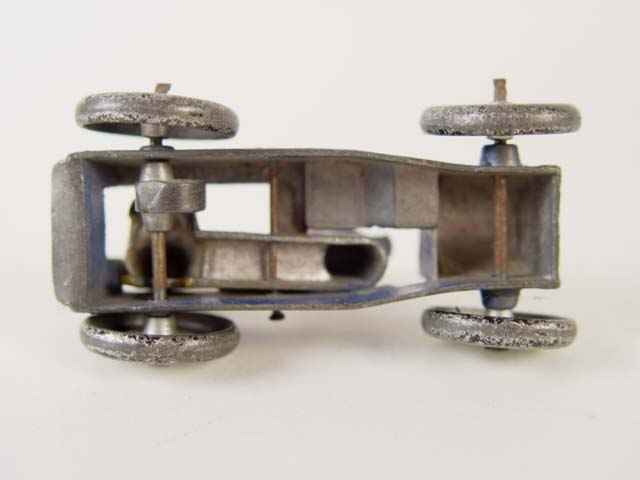 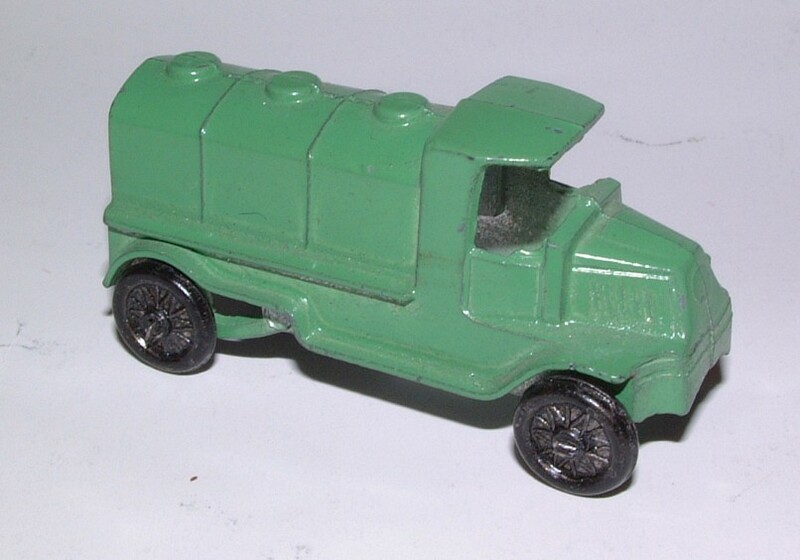 Though Samuel Dowst applied in 1912 for a patent of a post-binder, for preserving a variable number of periodical publications between hard covers, no patent of a die-cast toy was applied for until 1927, when preliminary methods of two-piece construction were submitted. 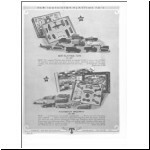 Later that year a more elaborate and detailed application was made, and the accompanying illustrations clearly applied to the GM series. 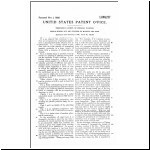 Thls patent was issued two years later, in September 1929. 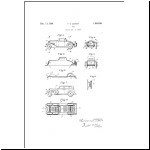 It is curious that this patent included the idea of a separate windscreen and steering column piece, which had been in use by Dowst since the 1915 Ford. 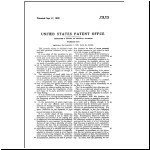 This duration should have placed that idea in the public domain and made it unpatentable. 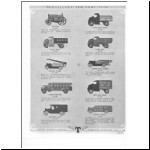 One is tempted to speculate as to whether this potentially embarrassing discrepancy might not have played a role in blurring the memorles of some company officials in recalling the date of the original Model T. Note, however, that most patents were filed well after the models were released and publicised. 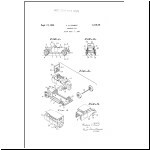 The patents are in pdf format and can be viewed by clicking on the thumbnails. 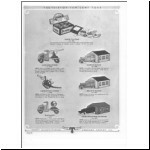 Illustrations and text are in separate files so that you can view them side-by-side. 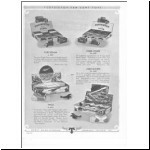 The patent relating to the Graham series was filed in 1934, and for the La Salle in 1936. 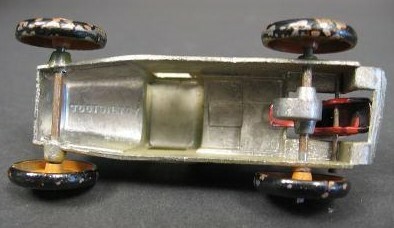 A later patent filed in 1937 covered the method of irreversible assembly used in planes, rocket ships, etc., and a 1941 patent dealt with the chrome hub covering the centre of a solid rubber wheel to simulate a tyre, used on later versions of the buses, armoured car, large tank trucks and Jumbo series. 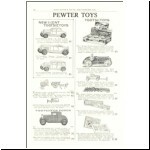 The earlier patents were issued to T.S.Dowst. 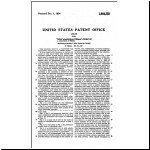 The La Salle and later patents were issued to Frank Bischof, Jr. His sons later went to work for the firm, and one of them is still employed there. 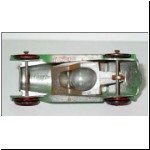 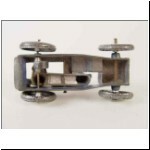 The significant invention covered by the 1934 patent was of a separate body and chassis held together by the axles. 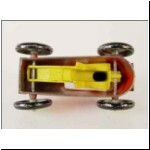 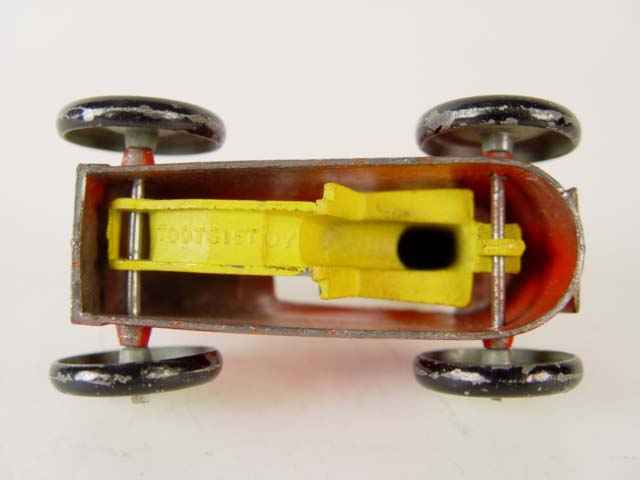 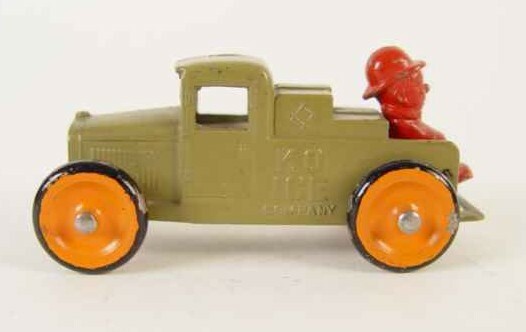 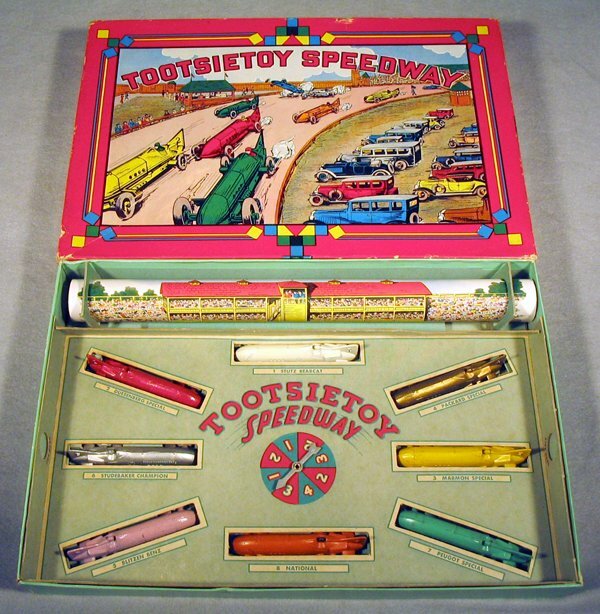 Other American manufacturers were thereby forced to adopt different means of keeping the body and chassis together when seeking to imitate Tootsietoy's construction. 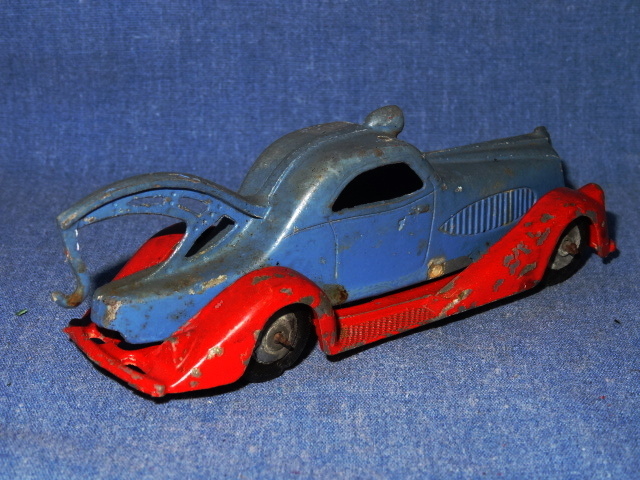 Barclay were perhaps the most successful, and their series of five two-piece models were held together by a rivet at the front, and at the rear by lugs projecting from the body and engaging with the chassis underneath the rear mudguards. 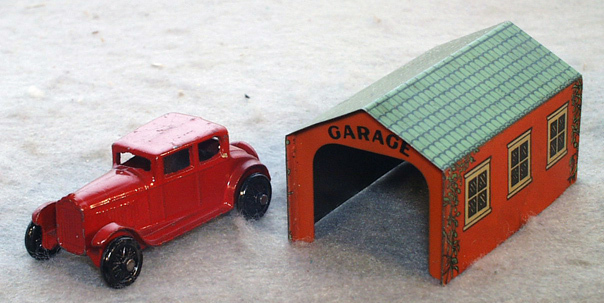 These models first appeared around 1935. 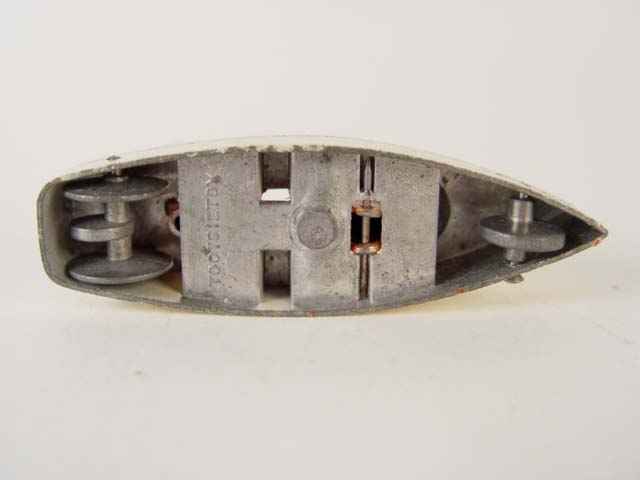 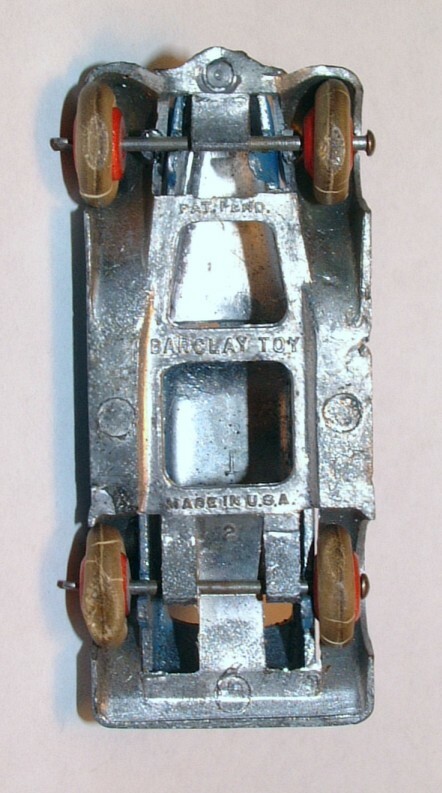 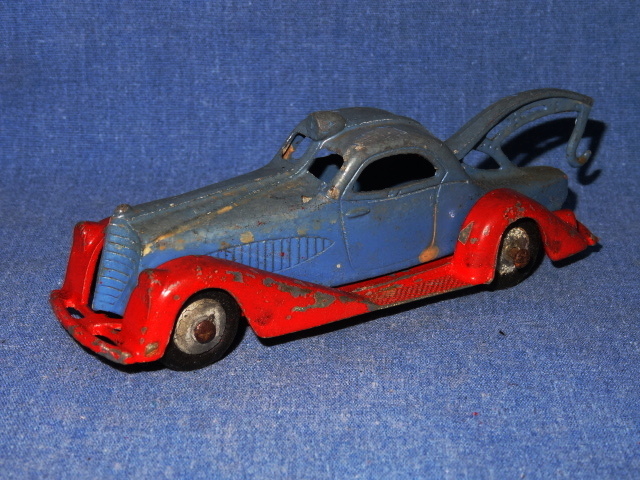 Manoil had to modify their original series of models (introduced in 1934) which infringed the Tootsietoy patent - the modified versions had two clips which projected downwards from the body sides and were intended to engage with the chassis, but often failed to do so reliably, as in the example pictured. 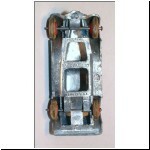 Erie simply gave up on the task, and although the four models in their series were designed to have a separate chassis, they were issued just as body castings with wheels, without the chassis. 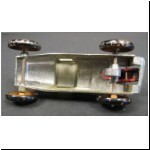 A prototype version of the Erie tow truck, with a separate chassis, chromed wheel hubs, open windows and cast hook was pictured in an article by Clint Seeley (ref.15) and the first two photos here show the same model when it was sold in 2016 by the Nelson Adams Estate. 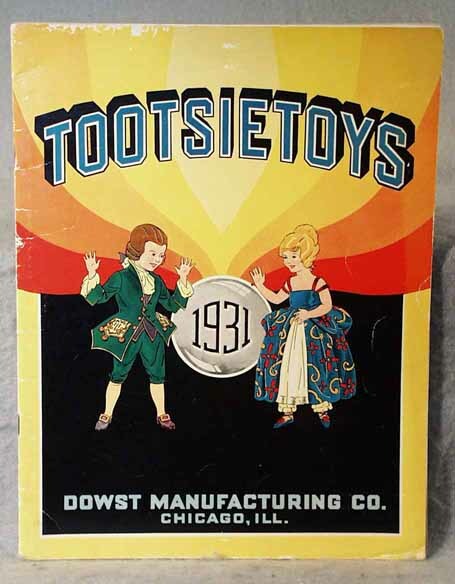 European manufacturers, on the other hand, seem to have ignored the Tootsietoy patents with impunity, and blatantly copied Tootsietoy's construction methods. 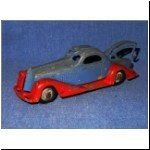 The 1936 patent includes one feature that was not put into production on the issued LaSalle models. 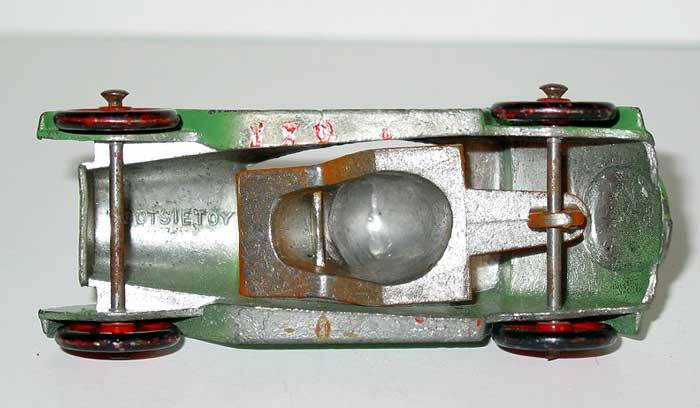 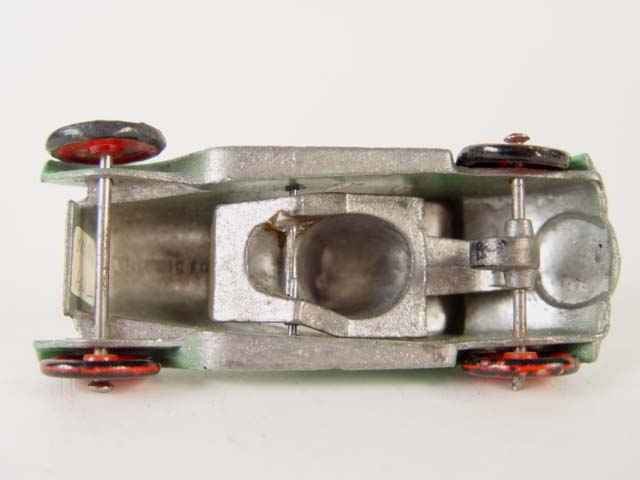 The front axle is shown attached to the baseplate (like the rear axle) and the front of the body casting is shown clipped to the chassis by lugs which engage underneath the front mudguards. 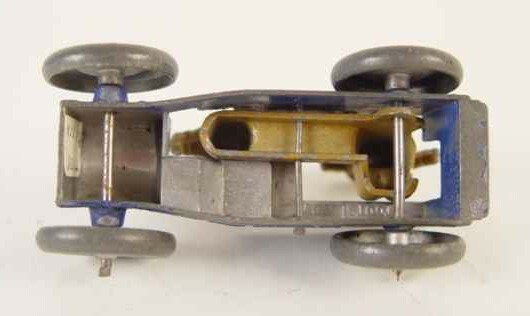 This construction had been altered by the time the models went into production, and the issued LaSalles are held together by the front axle, which passes through projections extending down from the body casting. 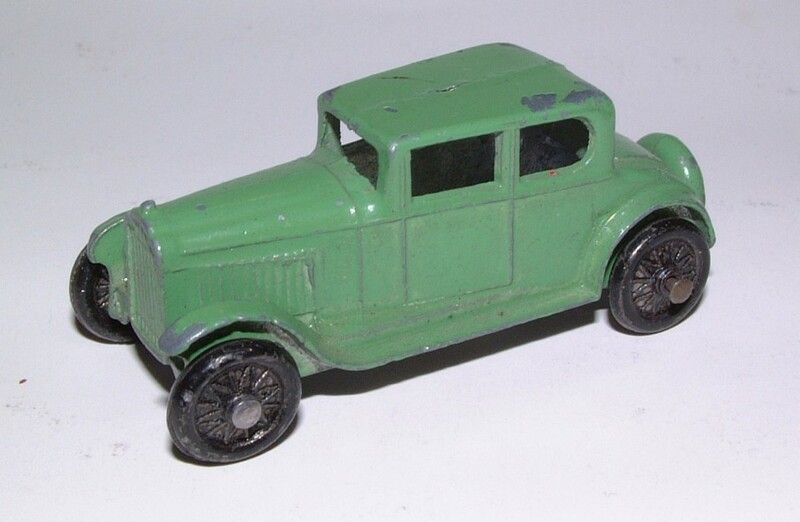 In the last instalment of this series we finished up with the Model A Fords, first heralded by the coupe in 1928. 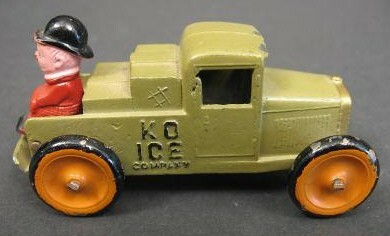 Others were introduced in 1929 and 1931, and later members of the first series Macks were brought out in the early thirties. 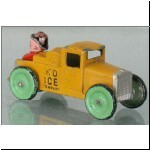 But that gets us ahead of ourselves, and we must jump back again to 1929 to pick up where we left off. 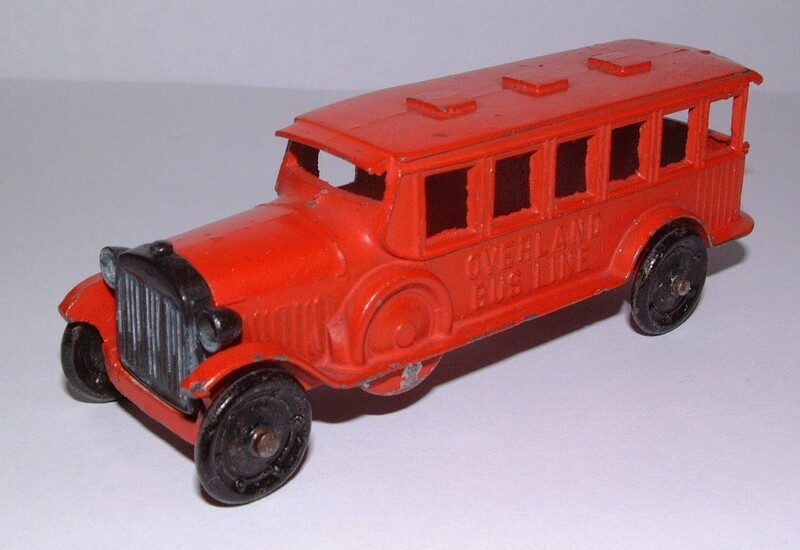 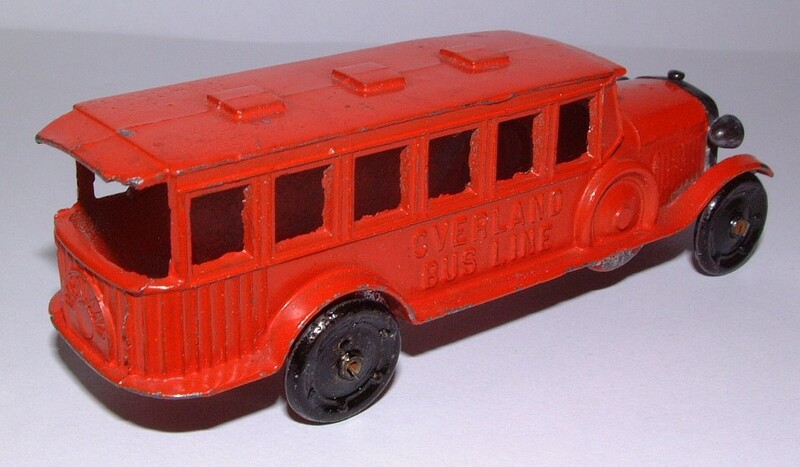 The Overland Bus Lines coach came out in 1929, having a separate grille/headlamp piece similar to the Model A Fords. 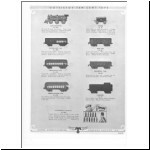 This and the earlier Safety Coach both continued in the line through 1933, the last year for many items, as well as the first year for many others. 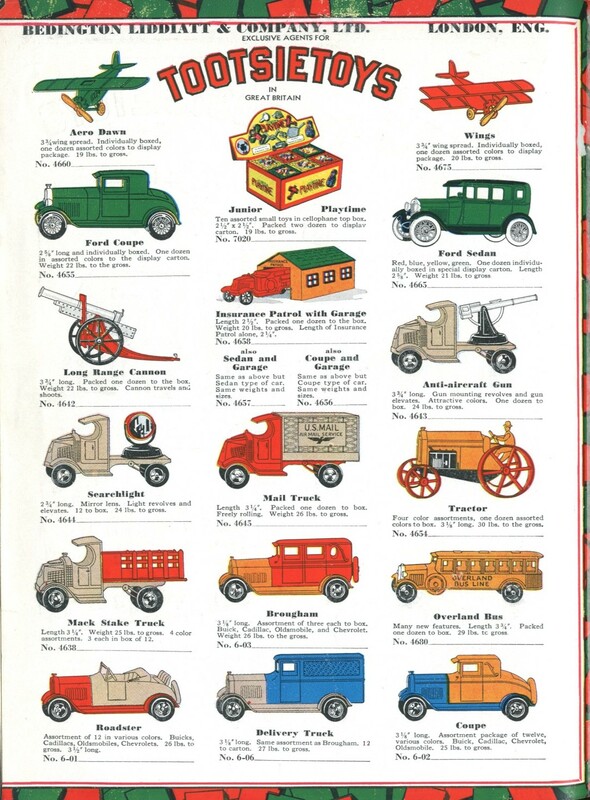 This circumstance made the 1933 catalogue the most interesting and inclusive for collectors. 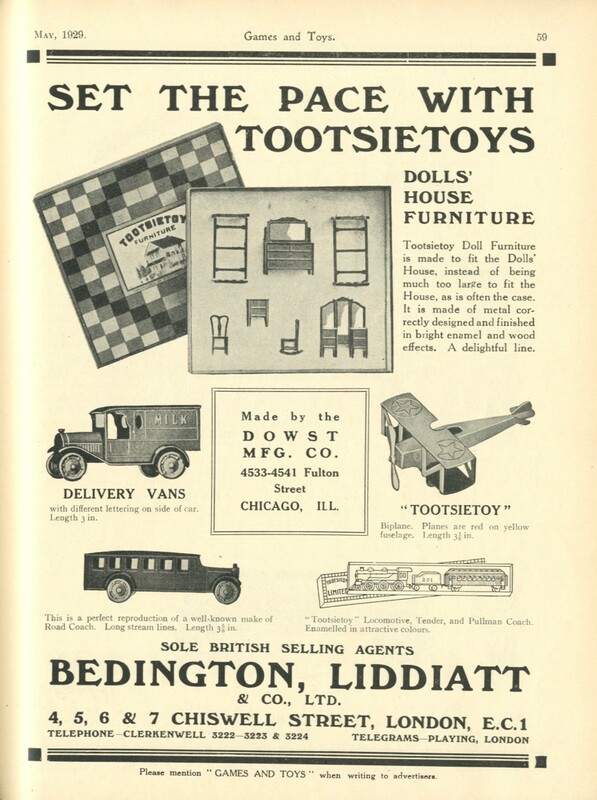 Below is an advertisement from May 1929 by the British importer Bedington, Liddiatt & Co.Ltd. 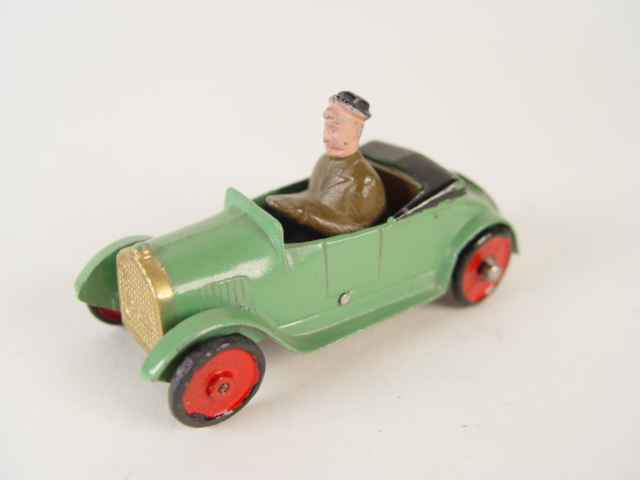 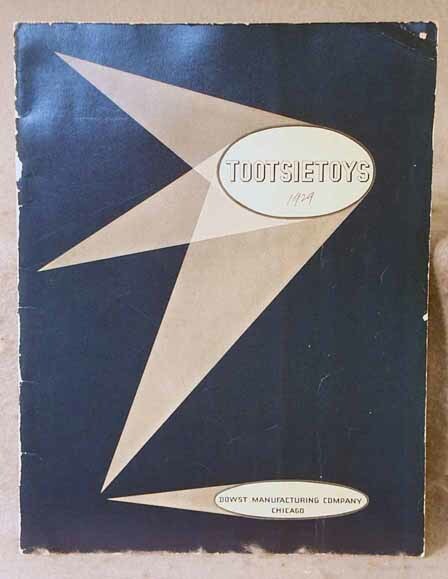 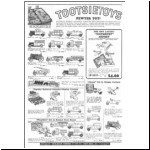 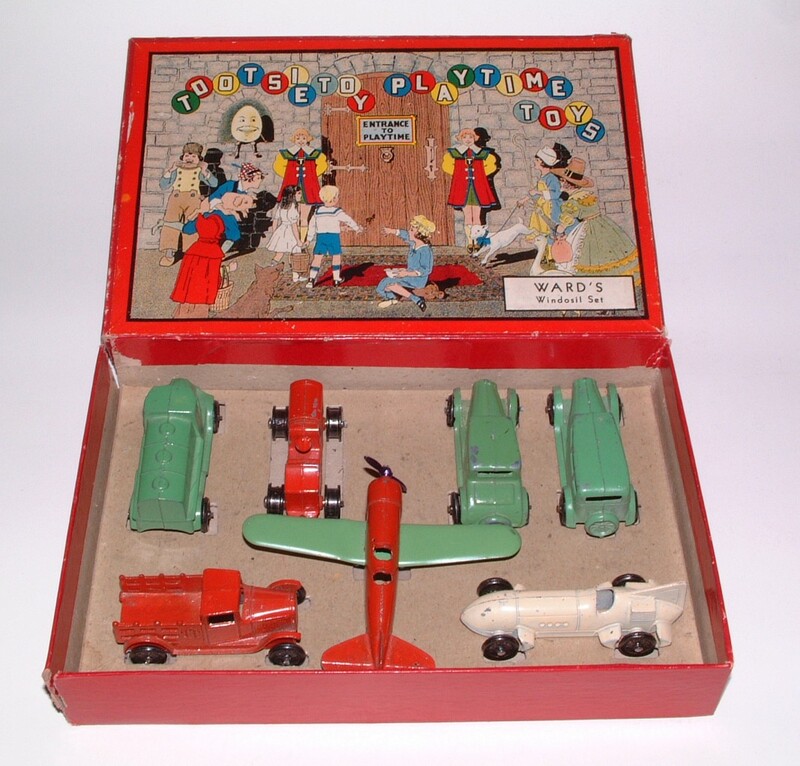 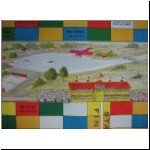 Tootsietoys enjoyed tremendous success in the UK as there was nothing similar to compete with them, and the earliest mention of them that I can find in the British trade magazine Games & Toys is in 1928. 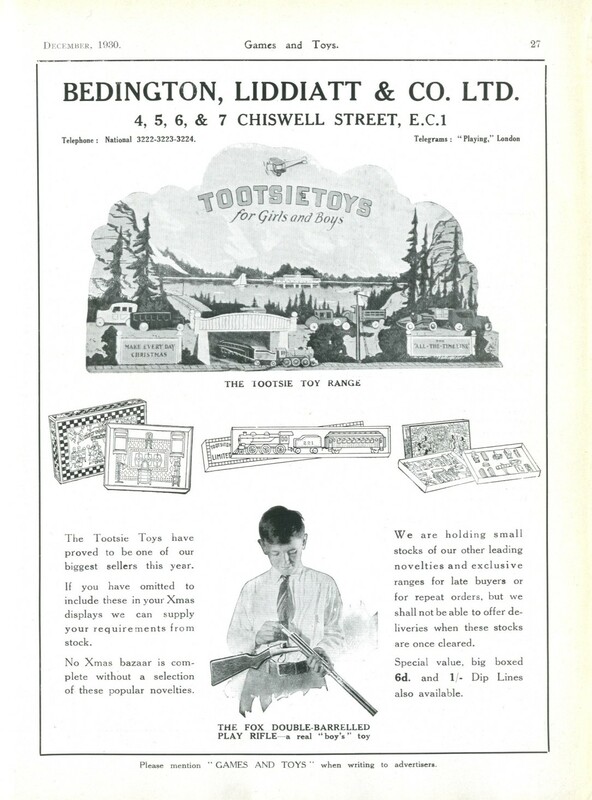 The advert pictured from May 1929 is intriguing with its slogan "Set the Pace with Tootsietoys", because one of Clint Seeley's early Tootsietoy articles was called "When Tootsietoy Set the Pace" (ref.7) - surely not a coincidence? 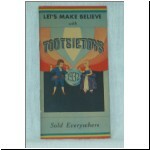 Does the same slogan appear in an American advert? 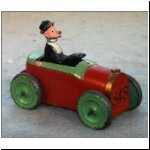 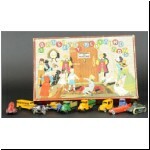 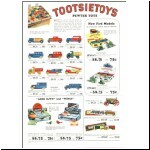 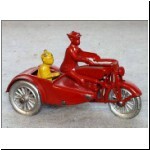 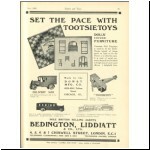 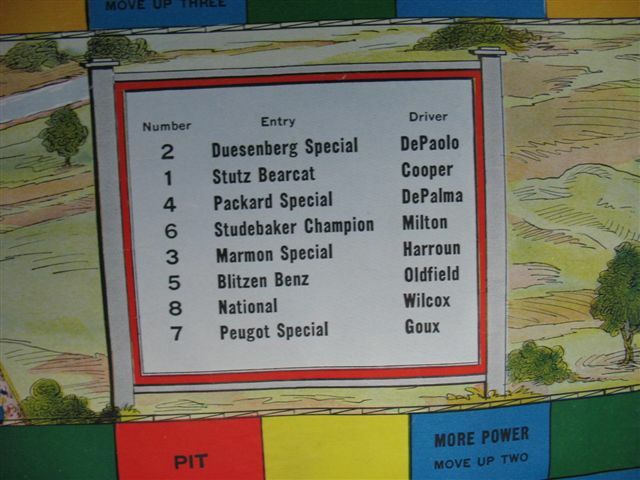 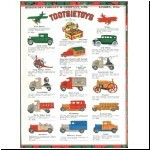 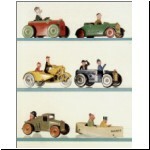 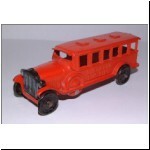 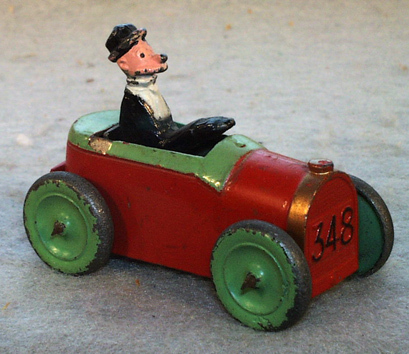 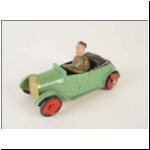 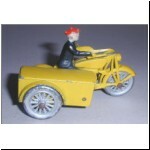 Ironically, the advert shows some older Tootsietoy numbers rather than the pace-setting introductions of 1928 and 1929! 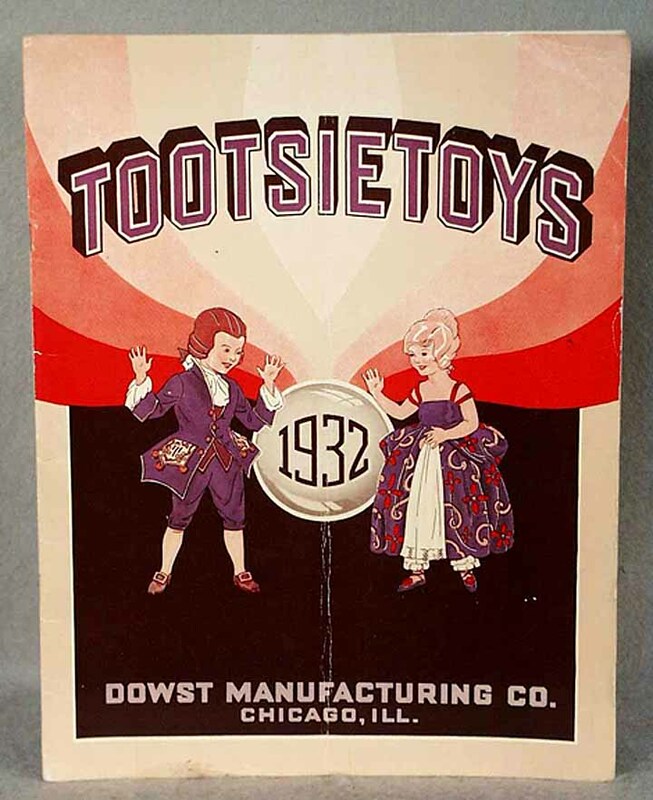 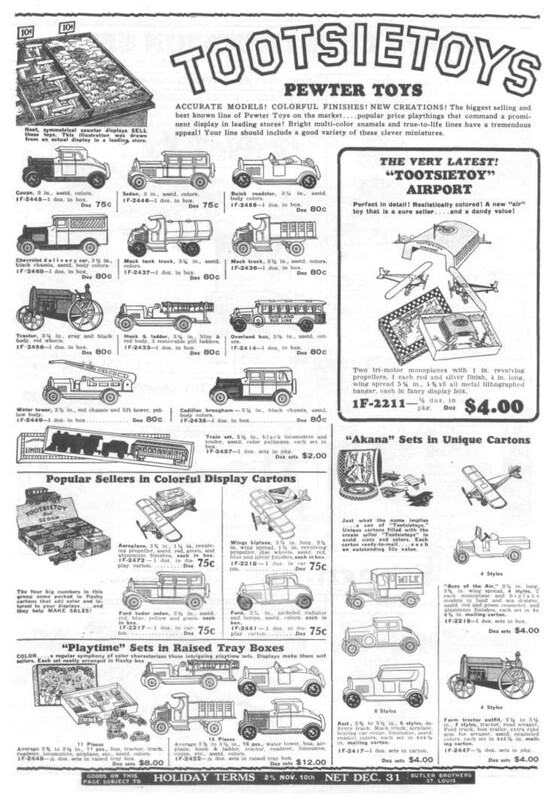 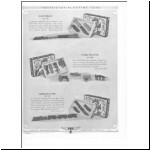 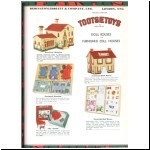 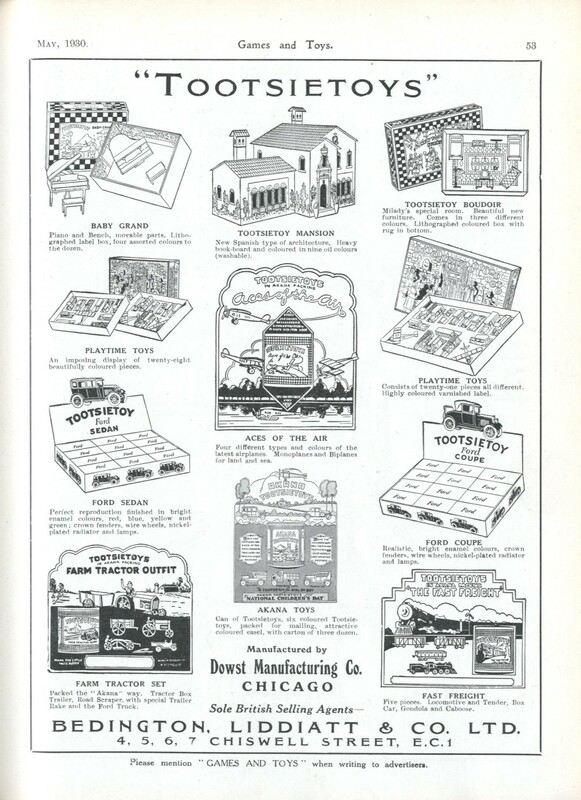 Below left is the cover of the 1929 Tootsietoy catalogue, and right is part of the 1929 range in the catalogue of the Western Novelty Co., Los Angeles. 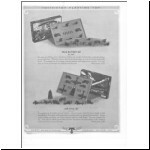 Below left is a 1929 single sheet colour leaflet, presumably by Butler Brothers - although unmarked, it has the same product codes as the page from the 1930 Butler Brothers catalogue at the right. 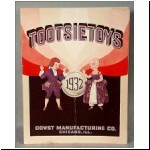 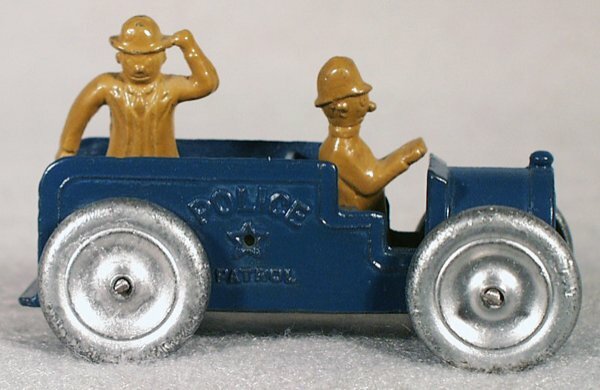 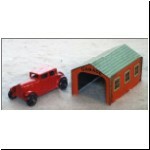 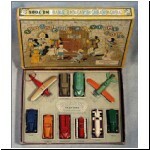 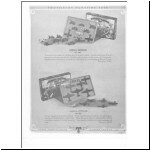 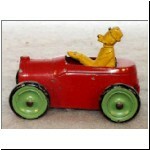 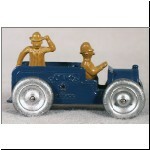 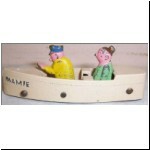 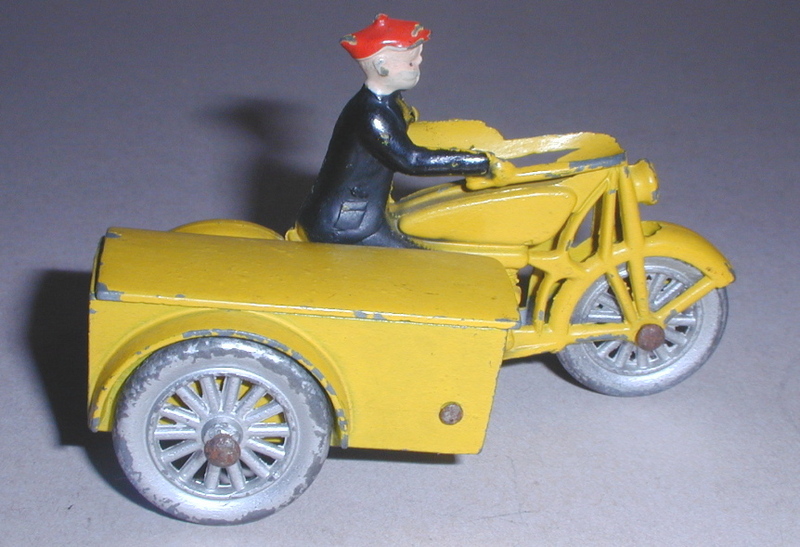 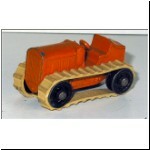 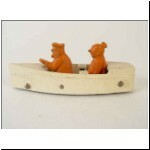 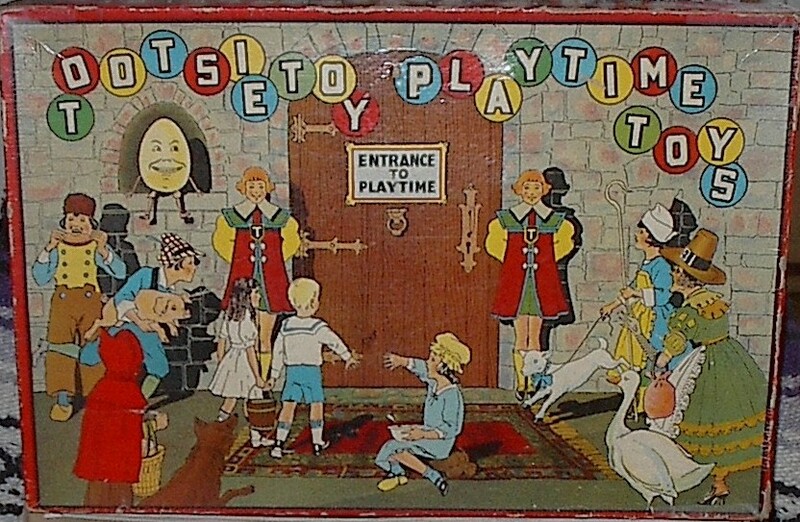 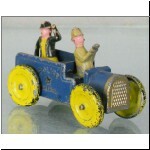 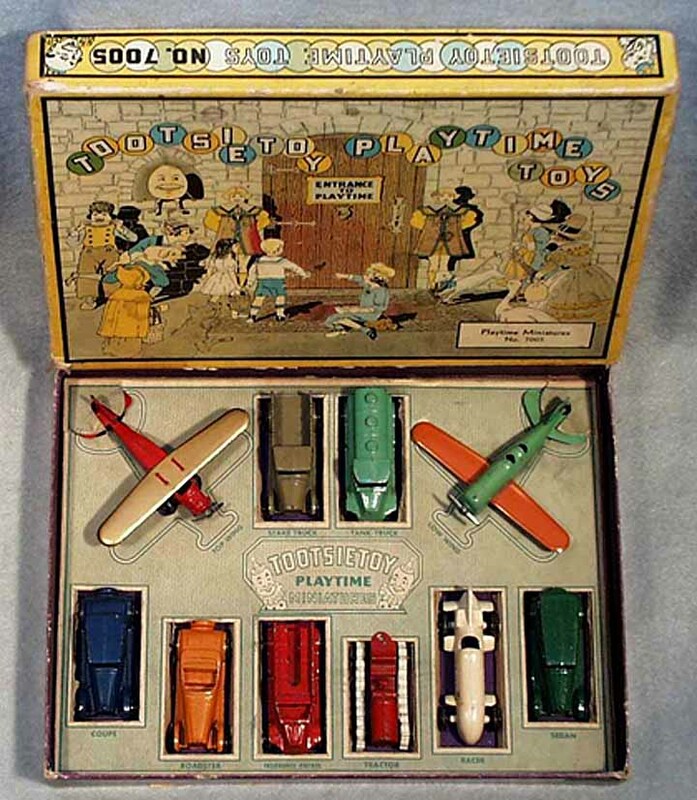 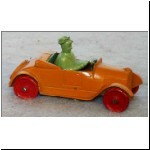 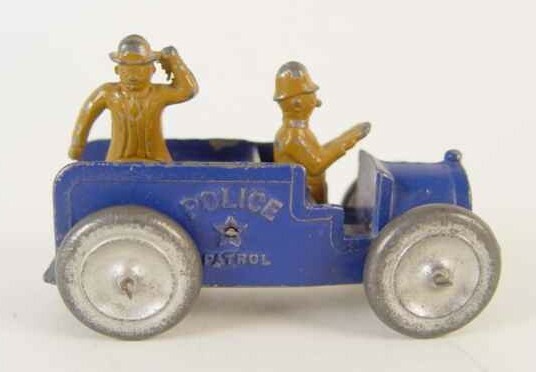 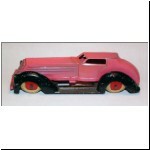 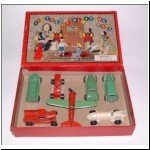 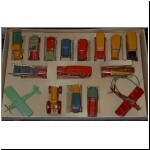 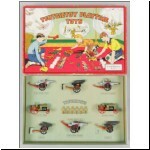 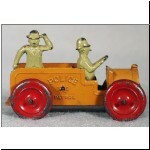 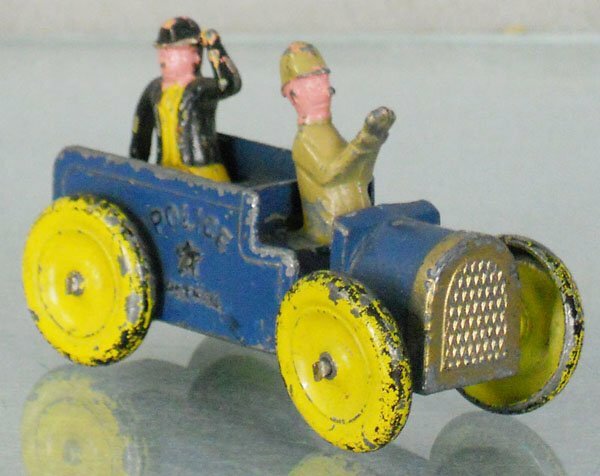 Shown as "new" in the 1929 Butler Bros. leaflet were the first two of many sets to be designated "Tootsietoy Playtime Toys". 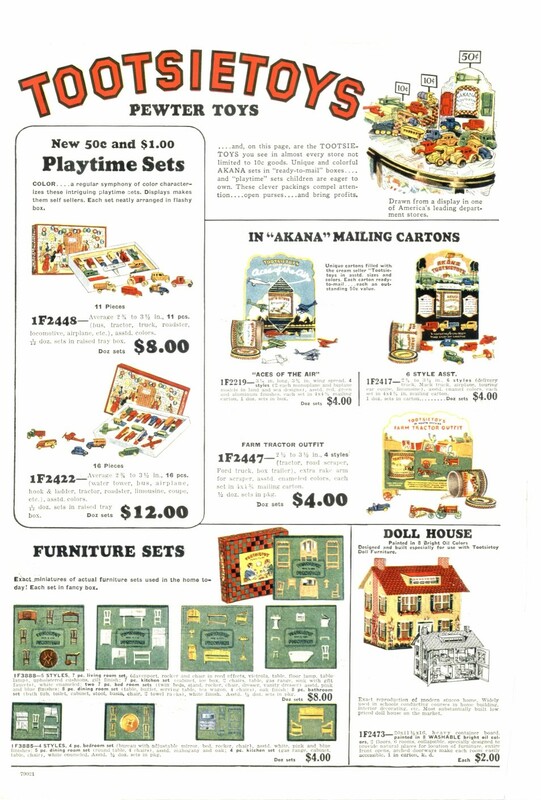 No.5031 was an eleven piece set, selling at a dollar, and 5032 had sixteen pieces for $1.50 (pictured above left). 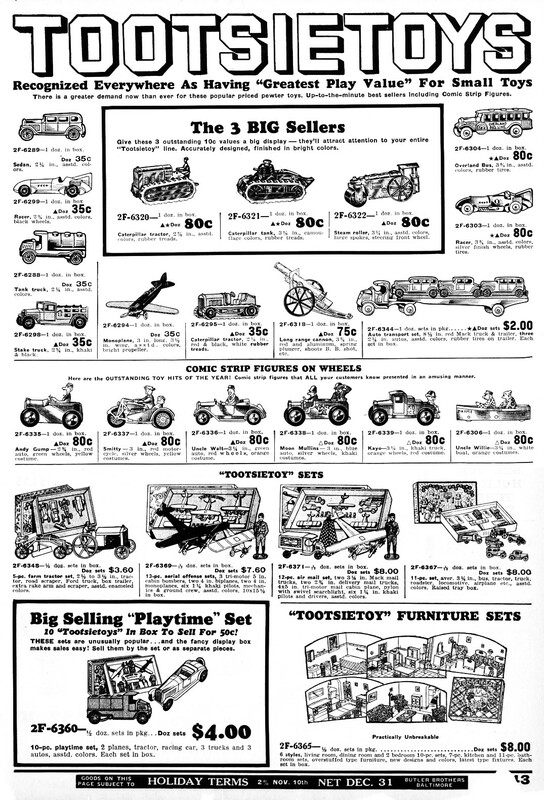 The individual toys were priced at 10c, so you got better value by buying the set. 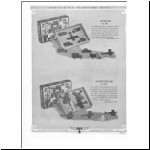 These two sets continued until 1931, then in the 1932 catalogue (page 12) the number 5031 was used for a new ten piece set (pictured above right) and 5032 was deleted. 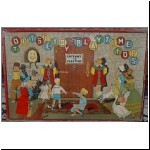 The price was still $1 but you no longer got the eleventh toy! 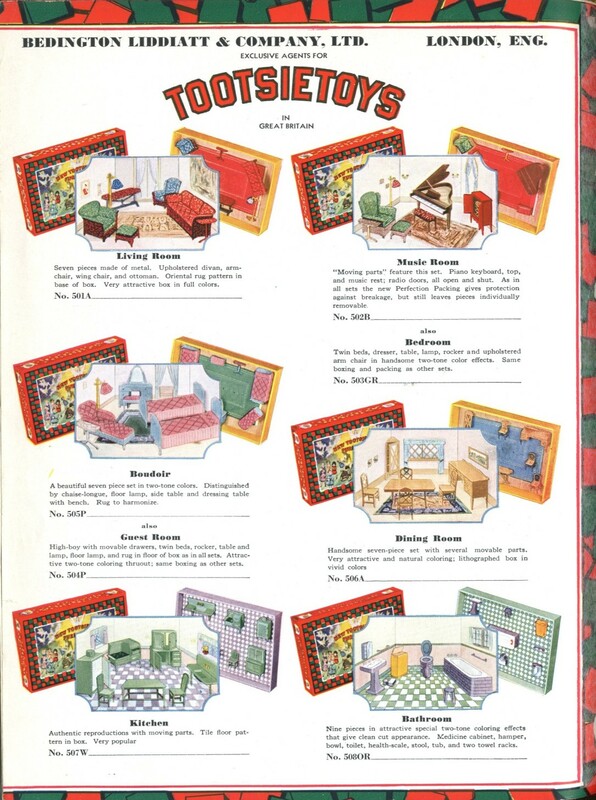 The practice of re-vamping the sets with new contents and box artwork, while retaining the same catalogue number, became very common during the 1930s. 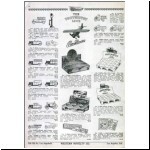 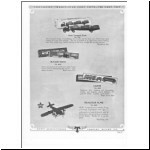 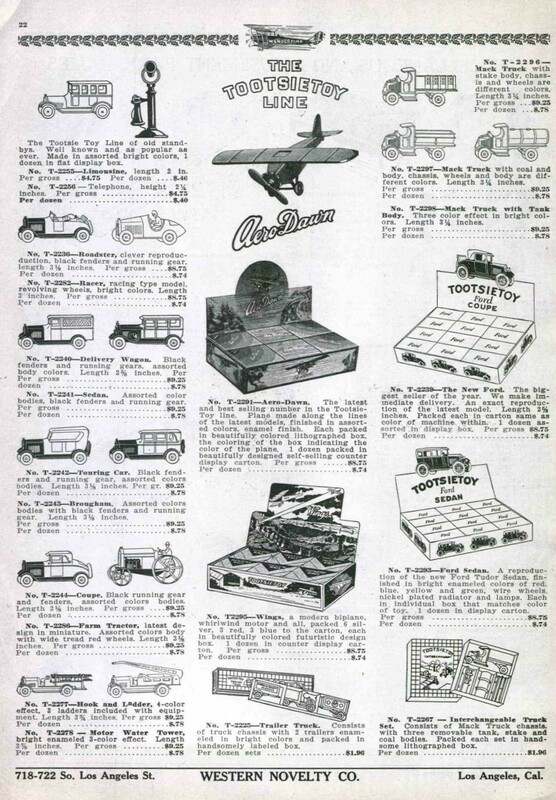 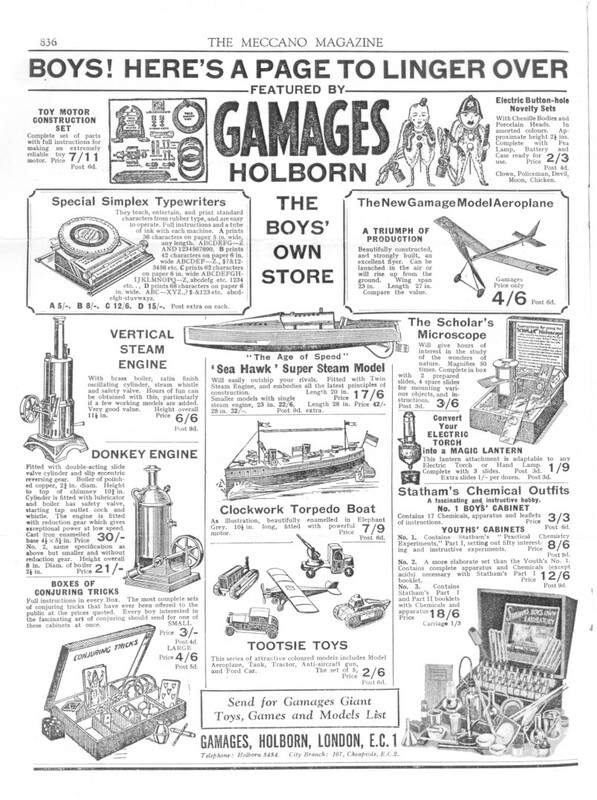 Below left is a page from the 1930/1 Baer Notion & Toy Co. catalogue; in the centre two adverts by the British importer Bedington, Liddiatt & Co.Ltd; and right an advertisement by Gamages in the Meccano Magazine, October 1931. 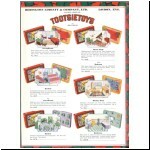 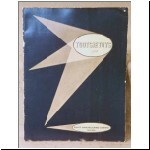 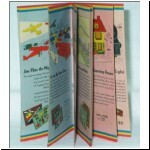 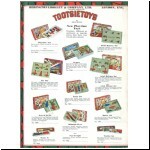 A reproduction of this catalogue is available from http://www.vintagecatalogs.com/. 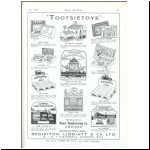 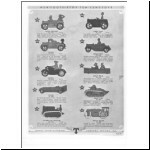 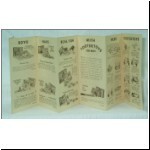 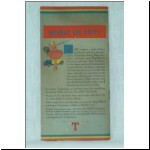 This is a four page Tootsietoy leaflet from 1931 (overprinted by the UK importer). 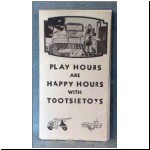 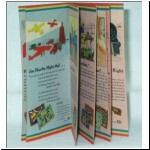 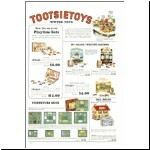 Below left is the 1931 catalogue cover; and right the 1931 "Play Hours are Happy Hours with Tootsietoys" leaflet. 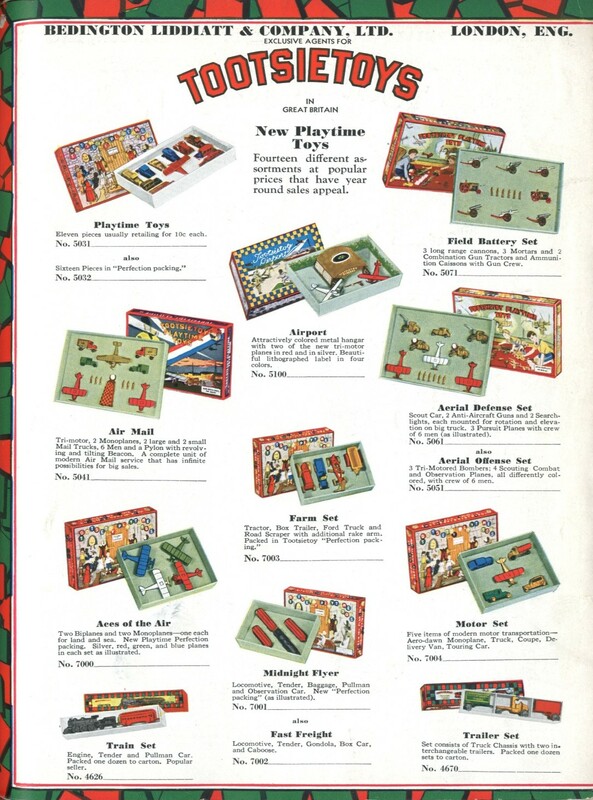 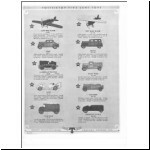 The introduction in 1931 of the military Macks has already been noted a few issues back, but it must have marked a year of re-armament for children: other new military hardware in the 1931 catalogue included a cannon (no.4642), a mortar (no.4662) and a tank (no.4647), which appears to be a Renault FT17 of World War I vintage, though it was described in the catalogue as a "reproduction in miniature of the latest type Caterpillar Tank from specifications furnished by the U.S. Govt. 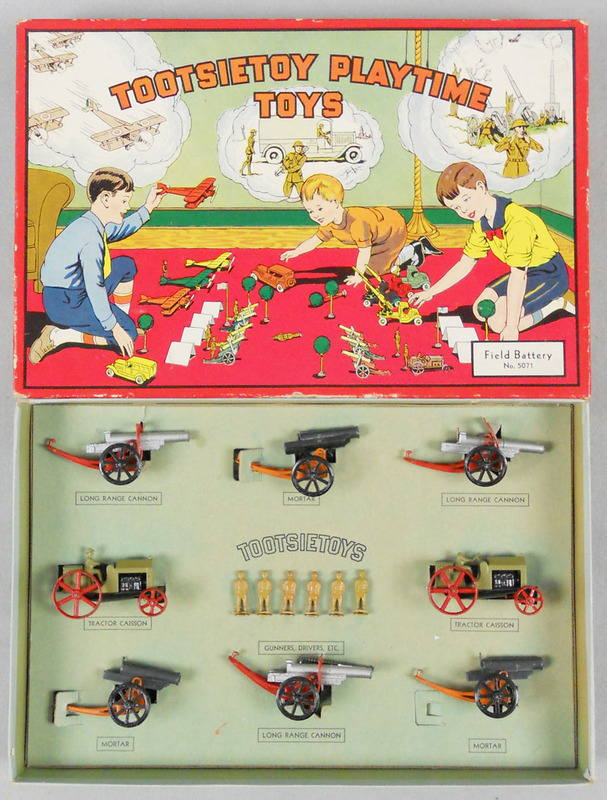 War Dept." 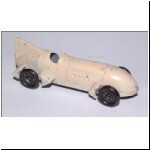 It had white rubber lugged tracks with an inner groove which fitted over the centre flange of the spoked wheels. 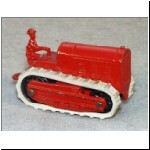 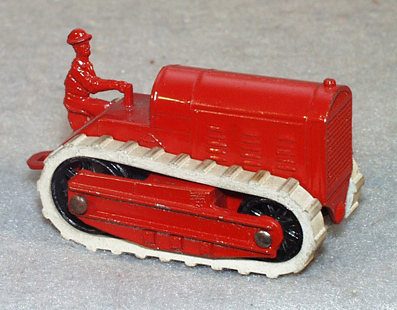 Similar tracks and wheels were used on a caterpillar tractor (no.4646) released at the same time. 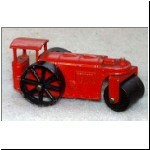 The driver was cast integrally, as on the older tractor and road scraper. 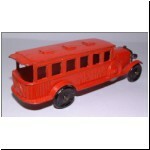 The whole piece, driver and all, was painted bright red or light green, and the wheels were black. 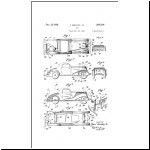 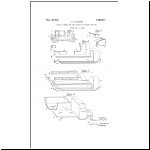 The use of rubber tracks was licensed under patent no.1,334,539 from Louis Marx & Co., and Louis Hertz gives considerable detail about the licensing agreement in his book (page 211 in ref.5). 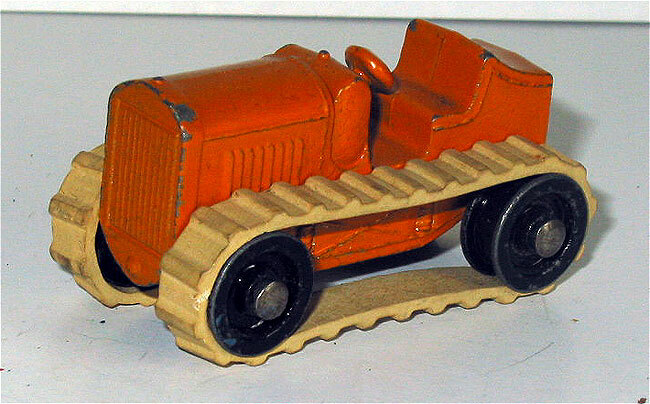 This colour scheme was also used for a road roller (no.4648), issued also in 1931 and using metal spoked rear wheels and a wooden roller in front. 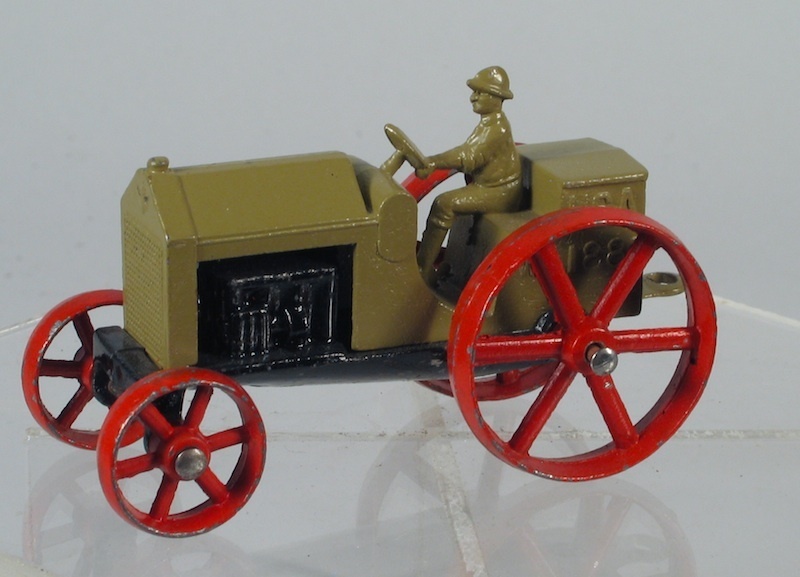 The 1931 arms race also included a military version of the old farm tractor, having a shorter hood and a large box (in lieu of a limber or caisson?) 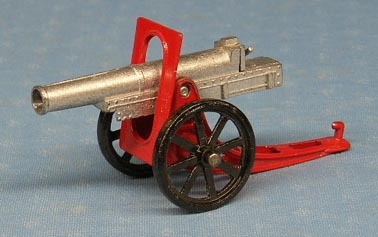 at its rear. 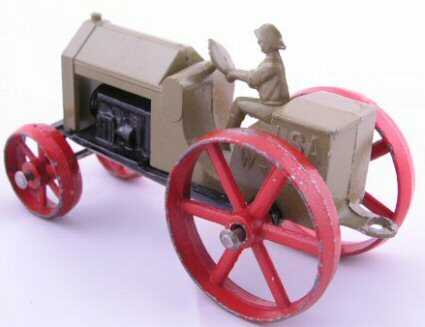 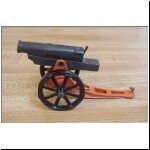 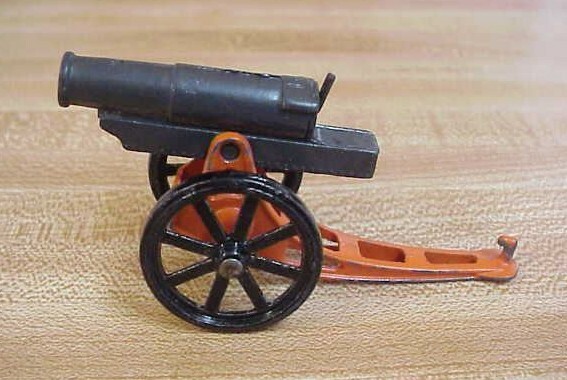 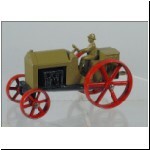 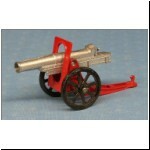 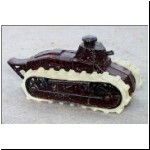 "U.S.A. W-1881" was marked on the box, and this tractor was sold in Field Battery Set no.5071 with six small soldiers and the two different kinds of cannons. 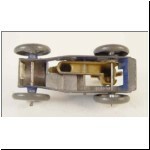 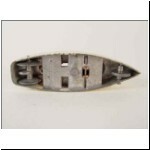 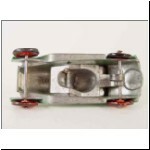 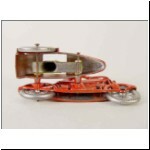 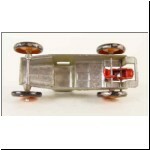 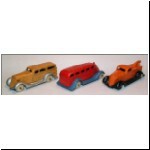 The first of the new miniatures (2" models) were a Buick coupe and sedan (used on the Mack car transporter mentioned previously) and a roadster (nos.101, 103 and 102). 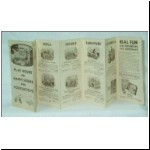 They were shown in the Baer 1930/1 catalogue (pictured above) and sold for 5c each. 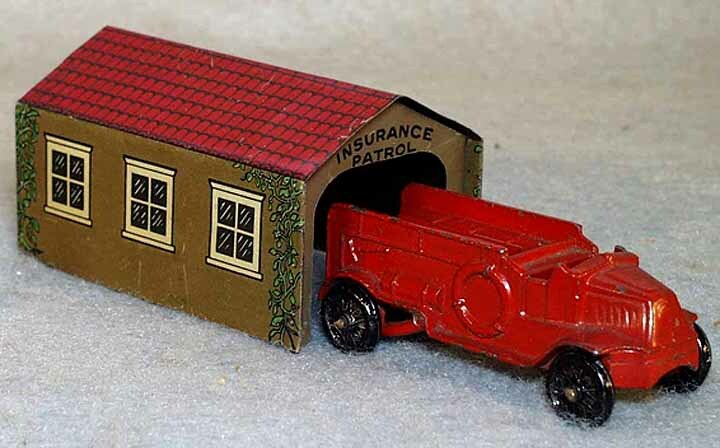 In 1931, they were joined by an open Mack insurance patrol. 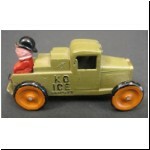 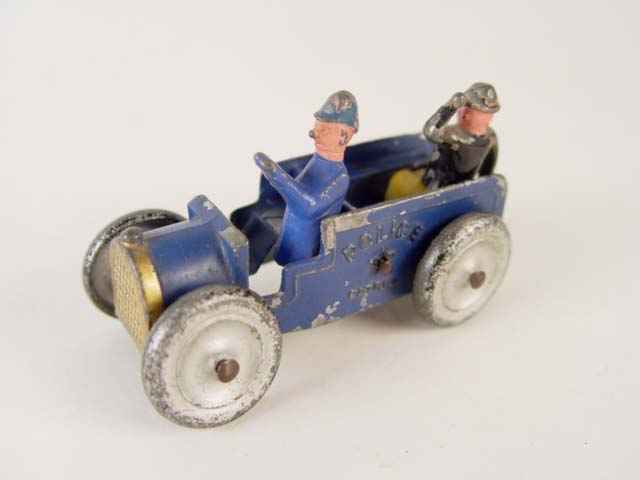 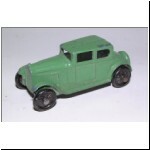 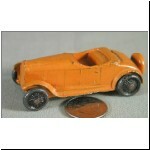 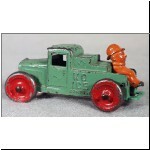 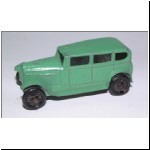 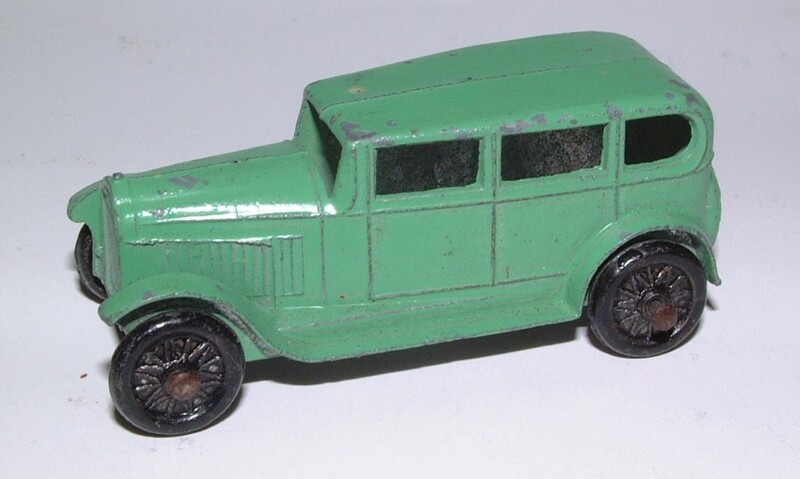 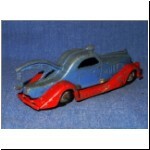 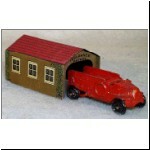 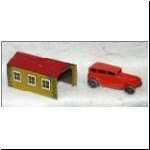 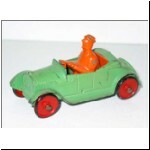 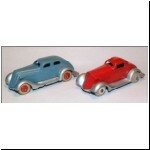 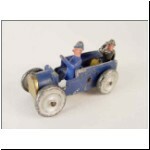 The coupe, sedan and insurance patrol were boxed with a suitably lithographed tinplate garage (nos.4656, 4657 and 4658) and sold for 10c each. 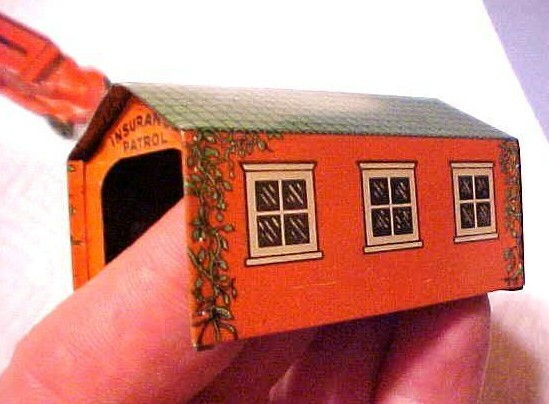 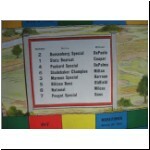 "Garage" was marked on the first two, and "Insurance Patrol" on the last (ref.1). 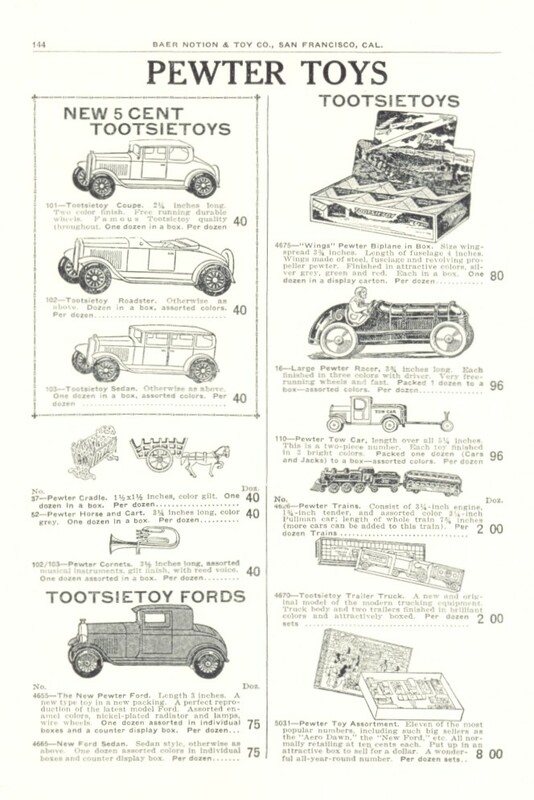 The automotive pages from the 1932 catalogue are shown here. 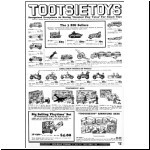 Clint produced this black and white reproduction for sale at toy shows etc. 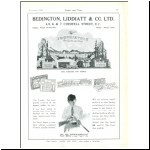 The original catalogue was of course in colour. 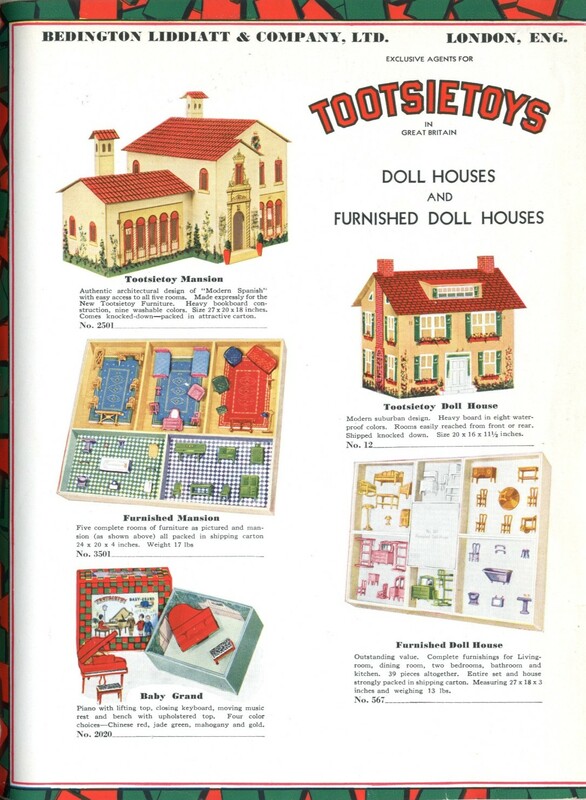 Pages 1 to 10 of the catalogue showed dolls' house furniture and were not reproduced. 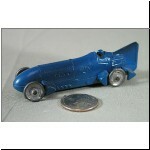 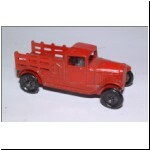 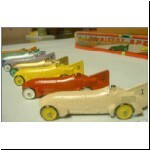 1932 saw the miniature line increased to ten, to retail for 5c each. 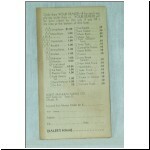 They were numbered 101-110, further confusing the catalogue numbering system. 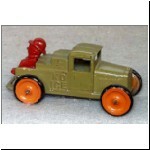 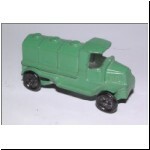 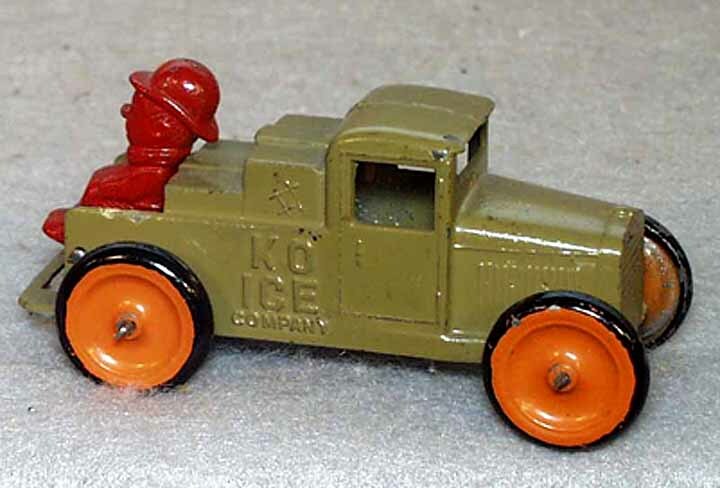 The first three were Buicks, the Mack insurance patrol was no.104 and a small squarish Mack tank truck was no.105. 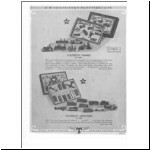 Nos.106 and 107 were small airplanes, and no.108 was a small driverless Caterpillar tractor, fitted with white rubber lugged tracks having a smooth inner surface and mounted on double-flanged wheels. 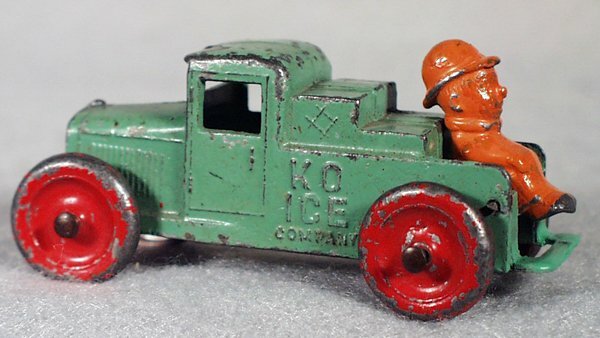 No.109 was a small stake pick-up truck with a radiator different from the Buicks and thought by many to represent a Ford. 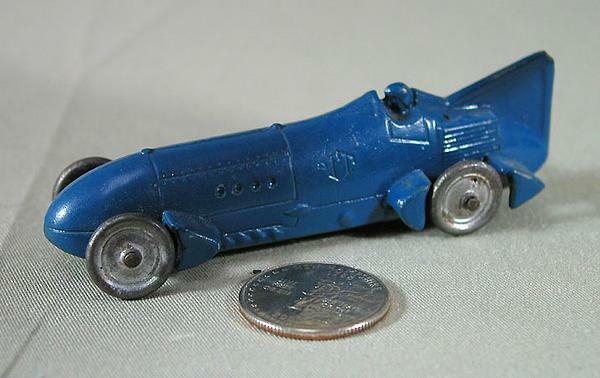 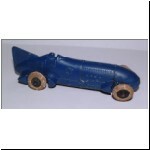 No.110 was a small 2¾" driverless version of the Blueblrd I record car. 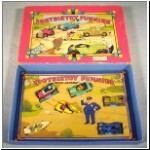 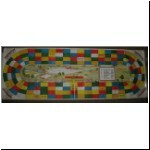 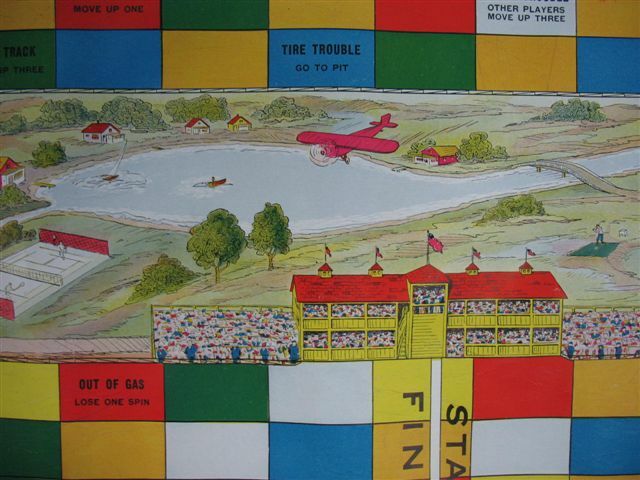 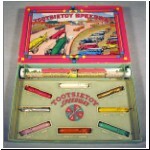 "The World's Fastest Racer" was also released in a 3¾" version in assorted colours (no.4666), without a number on the stabiliser, and in a boxed set (no.5081 Tootsietoy Speedway) which was also a game with a rolled playboard, spin dial and rules. 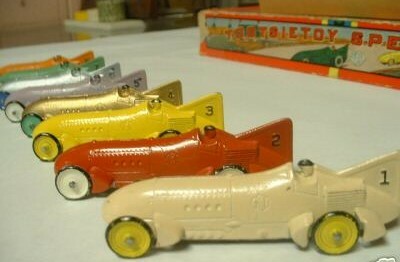 The cars bore numbers 1 through 8 on the tailfin, each a different colour: white, red, yellow, gold, lavender, silver, green and orange. 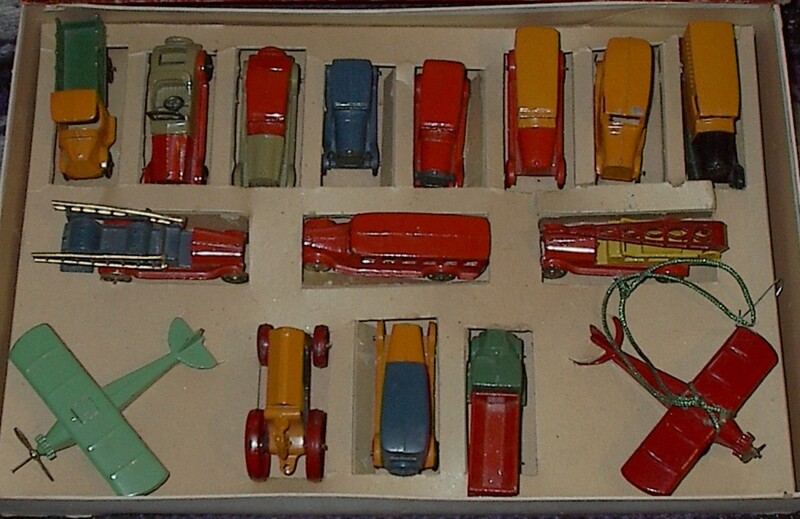 The set retailed for $1. 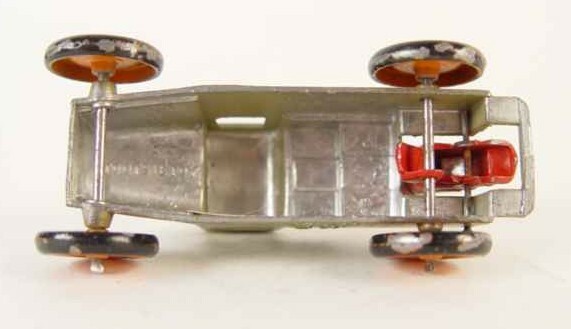 Wheels were smooth discs with no bolts - and some of these leaked out to other cars in the line. 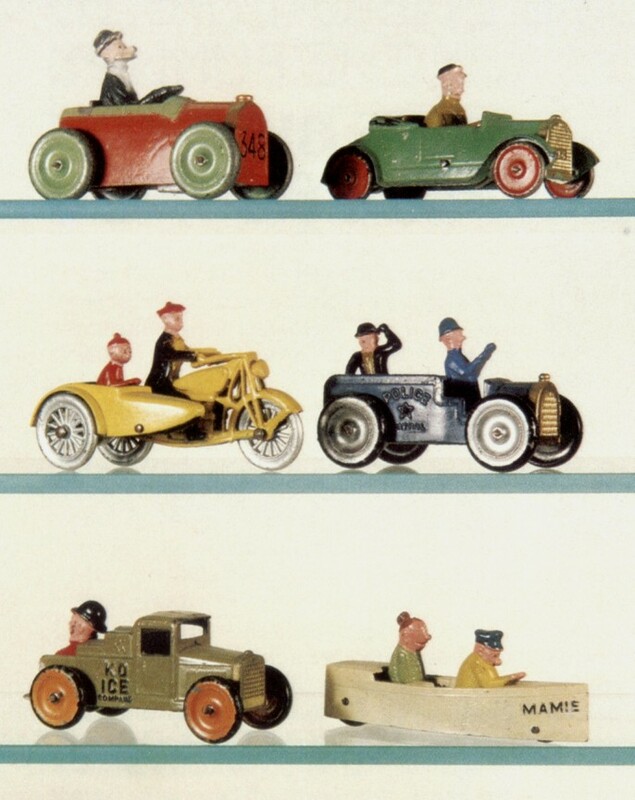 The Funnies Set (no.5091) was the feature of the 1932 year, with six models taken from American newspaper comic cartoons: Andy Gump in his open car, Uncle Walt Wallet in his roadster, Smitty on a motorcycle with Herbie in the sidecar, Moon Mulllns in the rear of an open paddy wagon driven by a helmeted cop, Kayo balanced on the rear of an ice wagon and Uncle Willy and Mamie in a motor boat bearing her name. 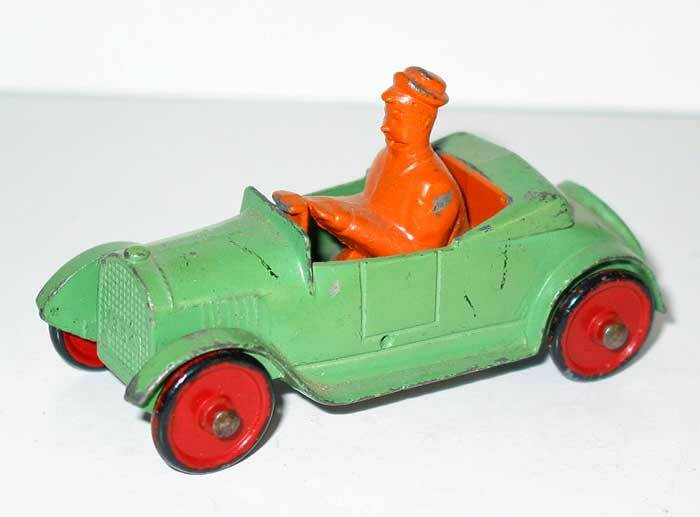 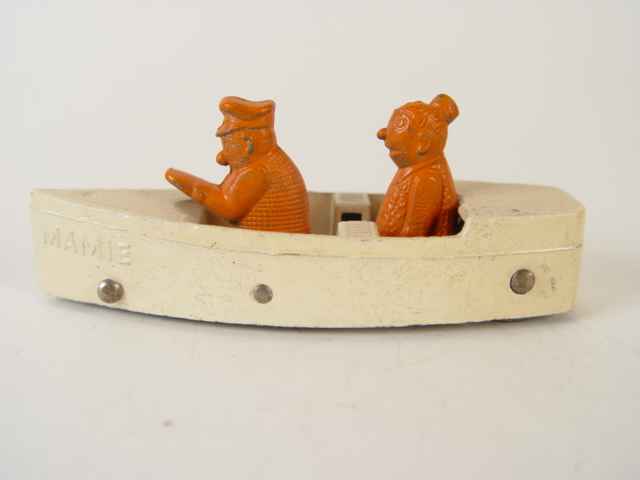 The boxed set had these in "action" versions, in which a cam on the axle moved the occupants (the boat also had an eccentric front wheel), and which were hand painted with up to seven colours. 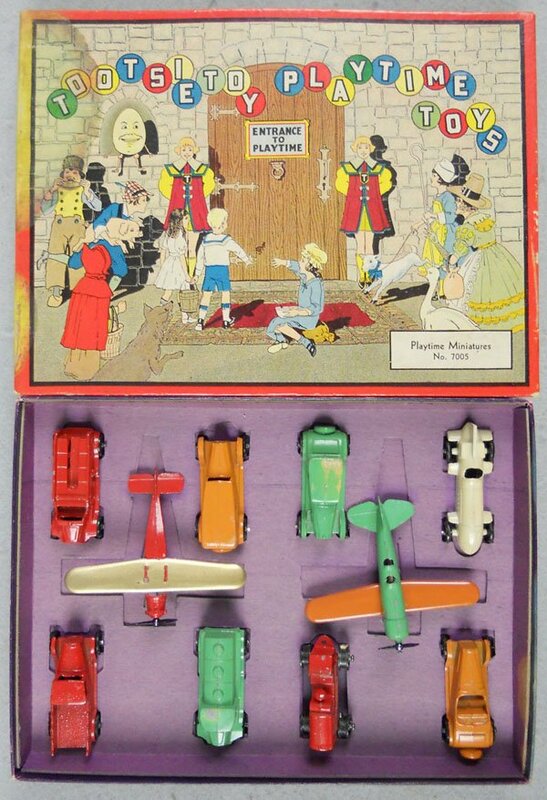 The set sold for $1. 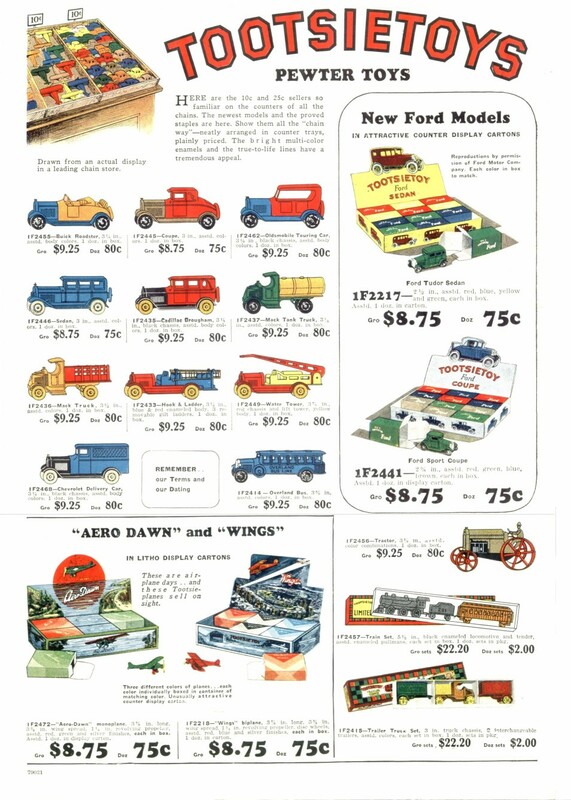 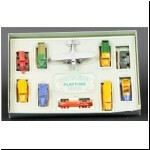 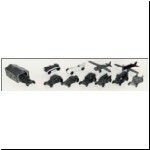 The pieces were sold separately in non-action versions for 10c each (nos.5101-6). 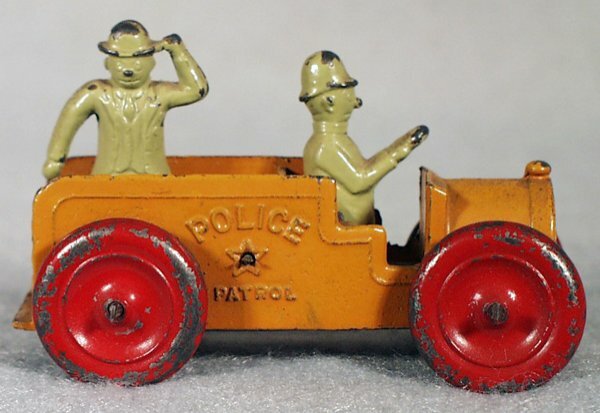 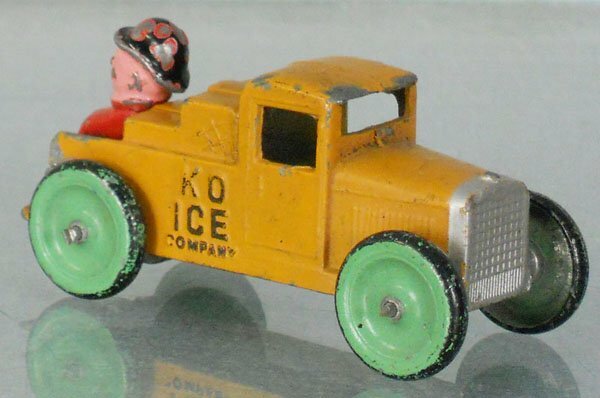 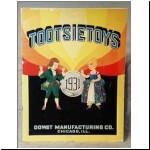 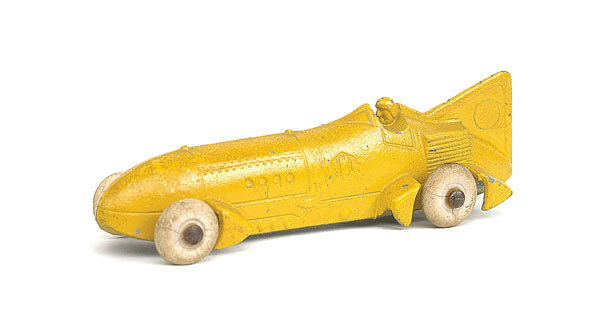 Though these are now some of the most sought-after Tootsietoys amongst American collectors, they were a disappointing sales failure for Dowst, and were withdrawn after the first run was sold out in 1933. 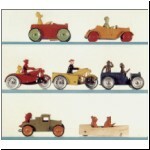 The short run doubtless accounts for their rarity today. 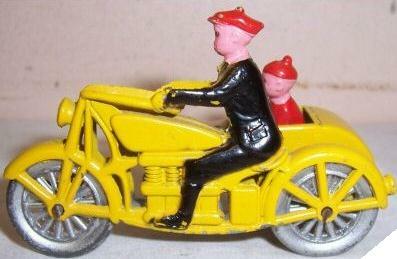 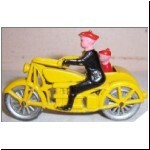 The company moved to salvage some of the tooling costs by reworking the Smitty motorcycle into a delivery version with cargo box sidecar sold in boxed commercial sets. 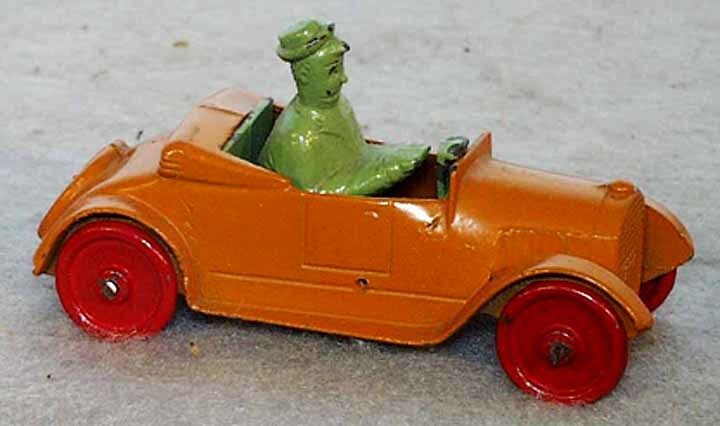 Hand made prototypes of Uncle Walt's roadster driven by an Easter Bunny and by a Halloween Witch have also been seen (ref.1) (see part 7 of this article). 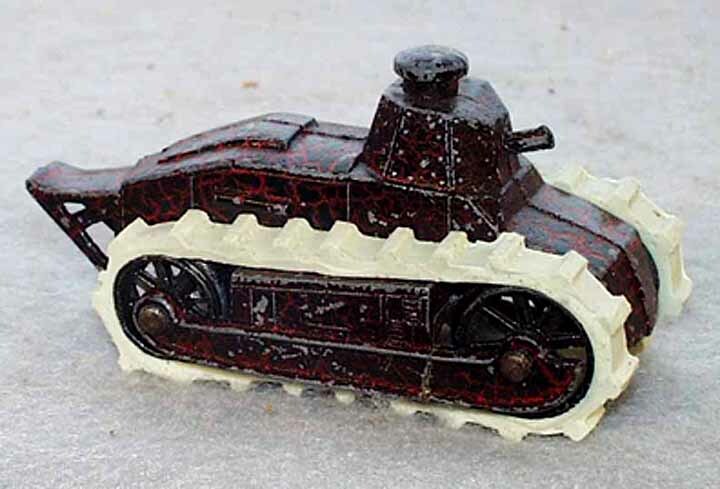 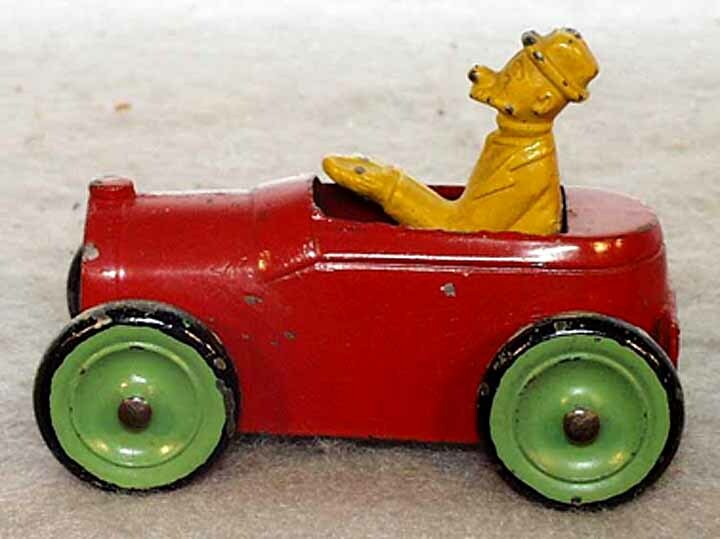 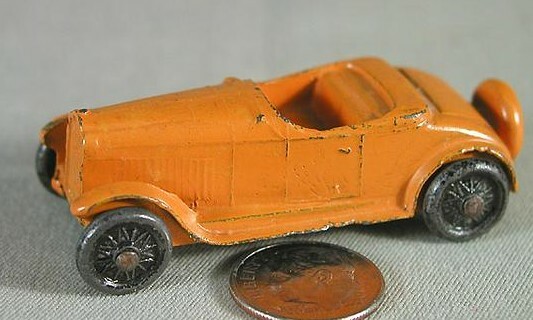 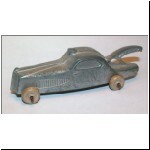 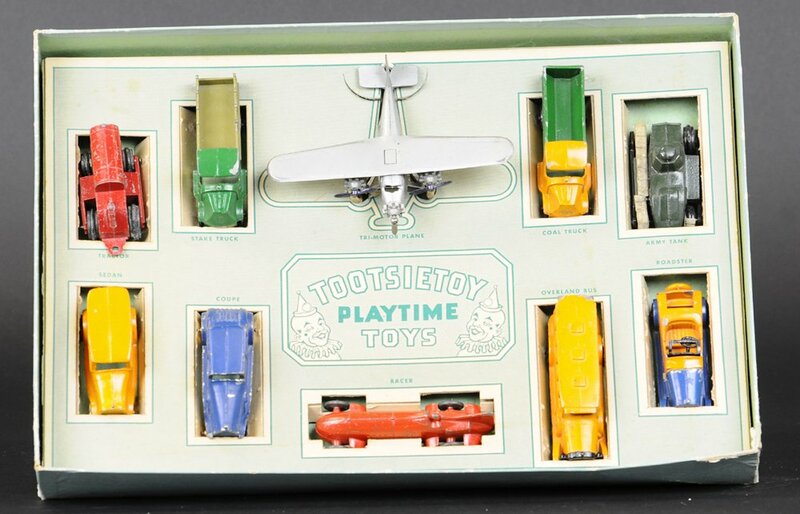 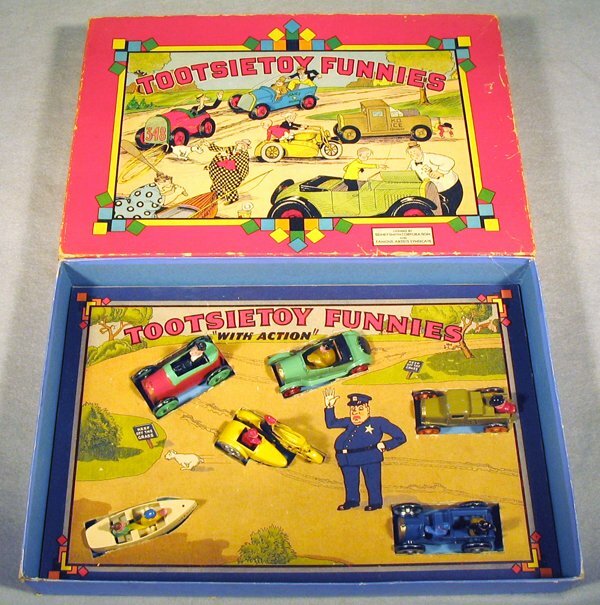 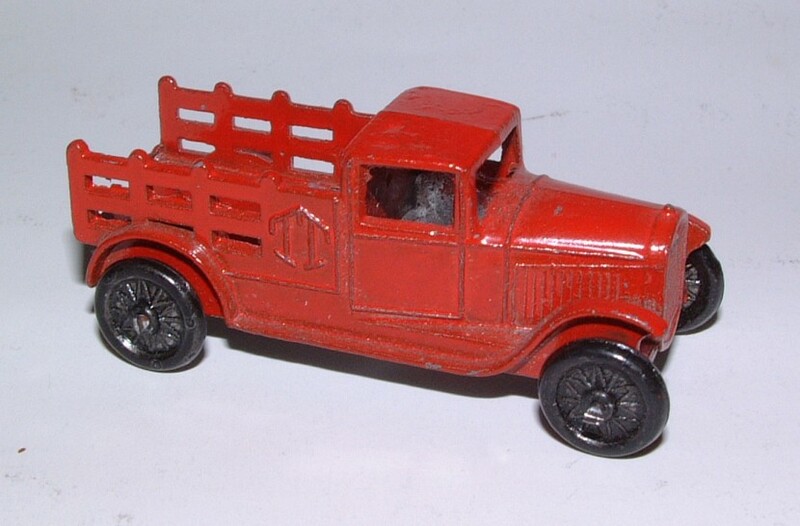 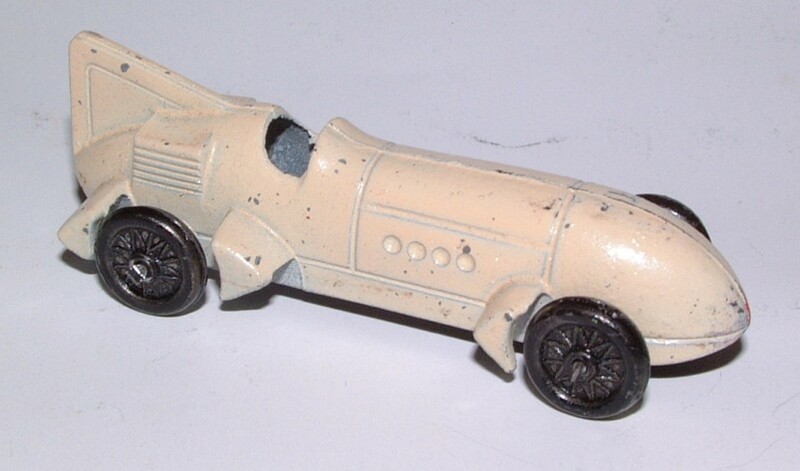 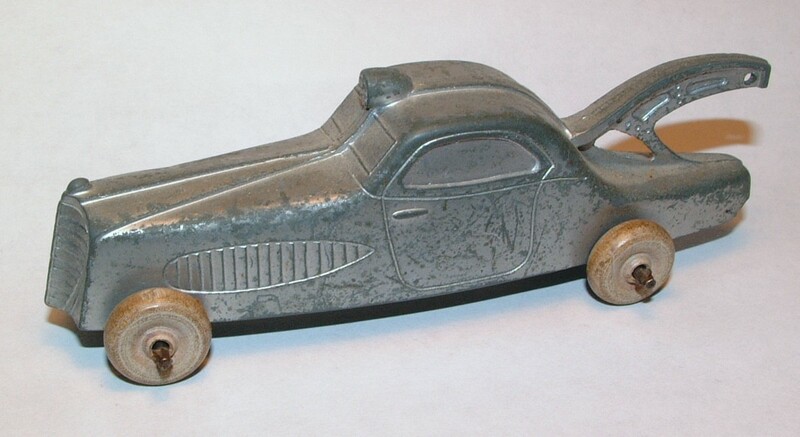 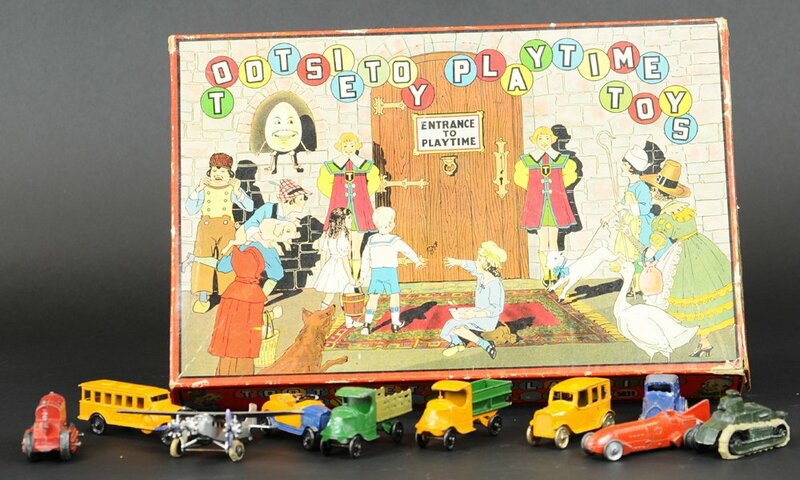 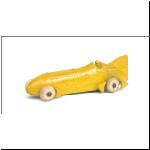 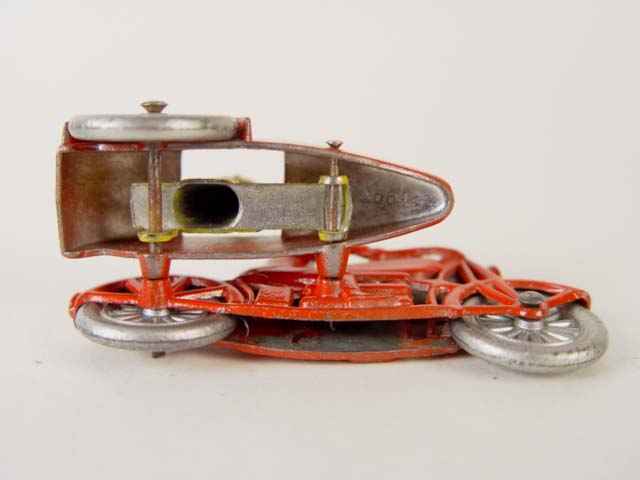 By the end of 1932, "Tootsietoy" had become a household word, used by many a parent and child indiscriminately to refer to almost any small cast metal toy (much as "Matchbox" is used generically today). 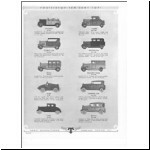 But the biggest success of the firm still lay ahead with the releases of the 1933 sales year. 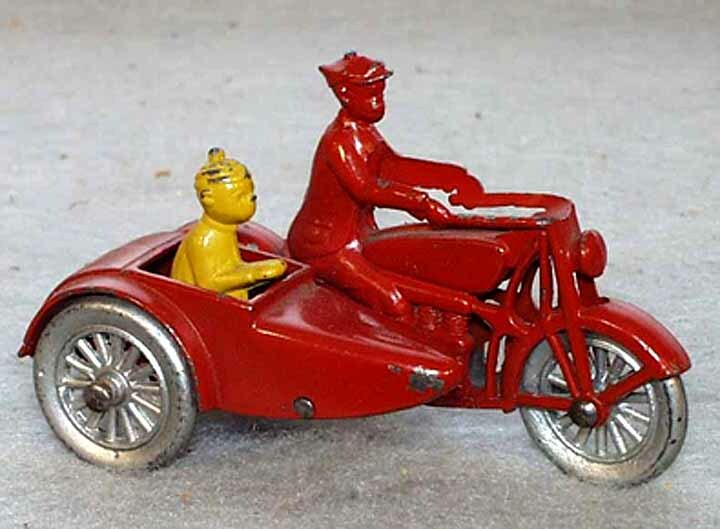 Our next instalment will deal with these, the models that lead most of us into our infatuation with the family whose genealogy we are tracing here. 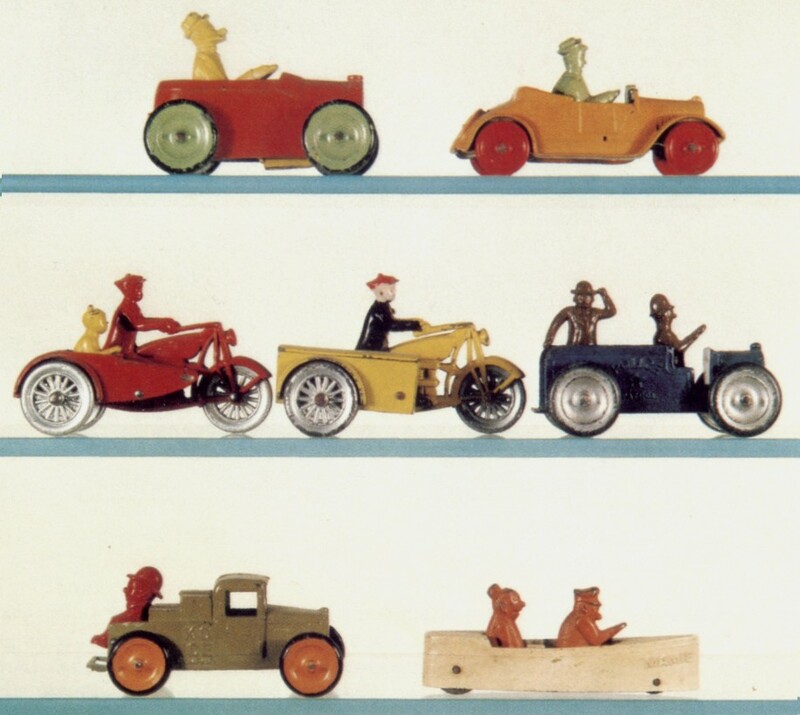 (15) "The Toys that Weren't Tootsie" in Automobile Year Book of Models no.1, 1982, Edita, Lausanne.